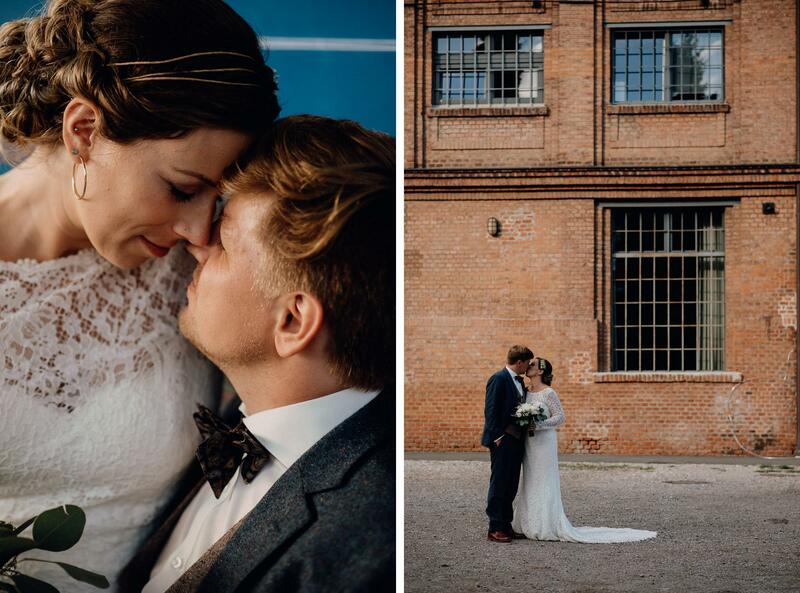 Petra and Vincenz’s wedding was wonderful! 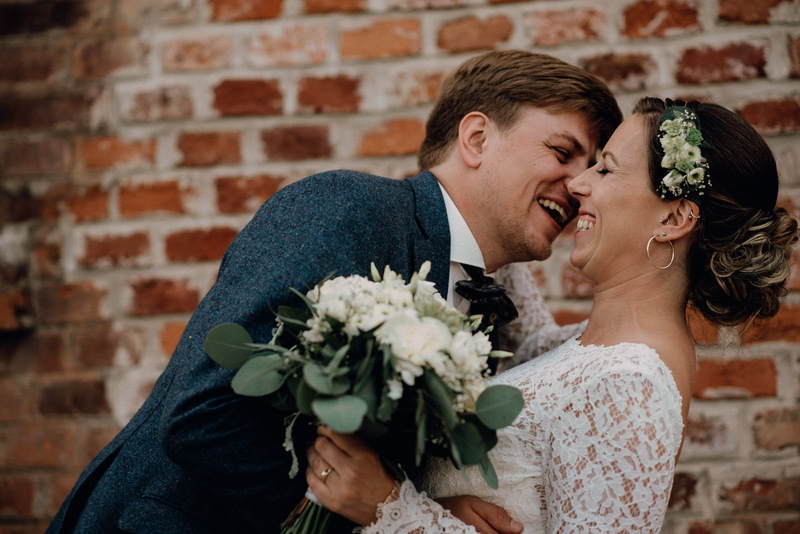 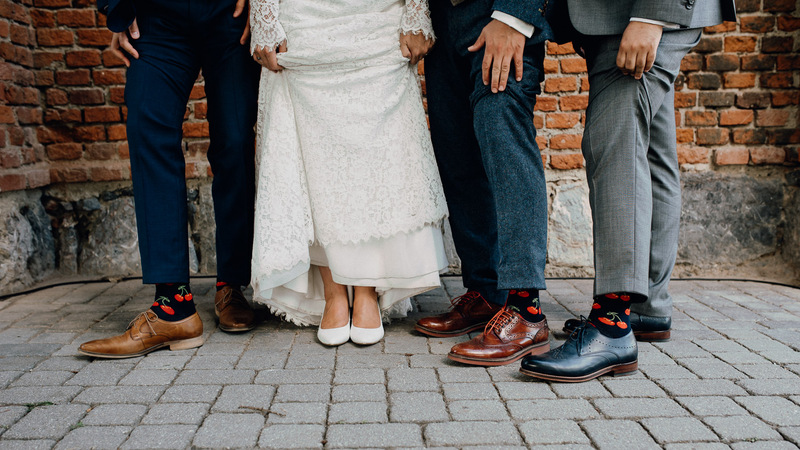 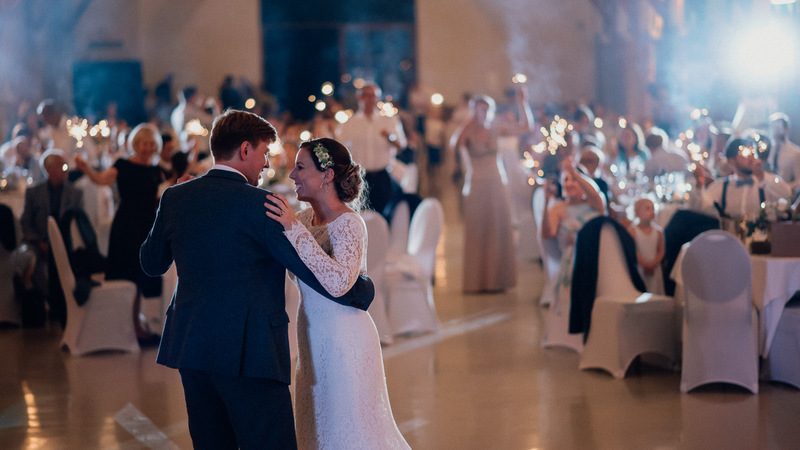 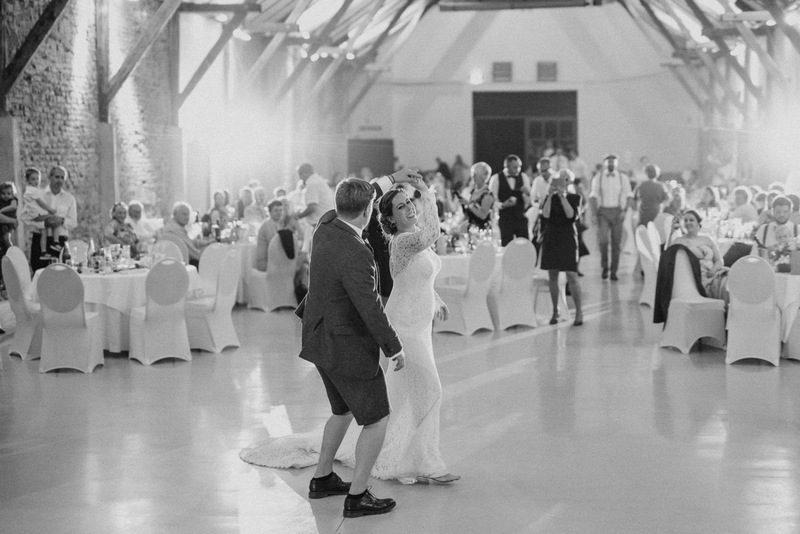 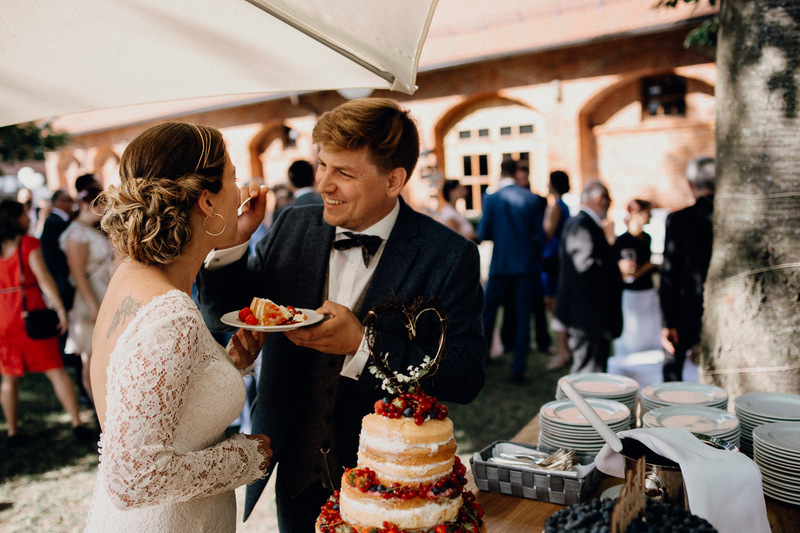 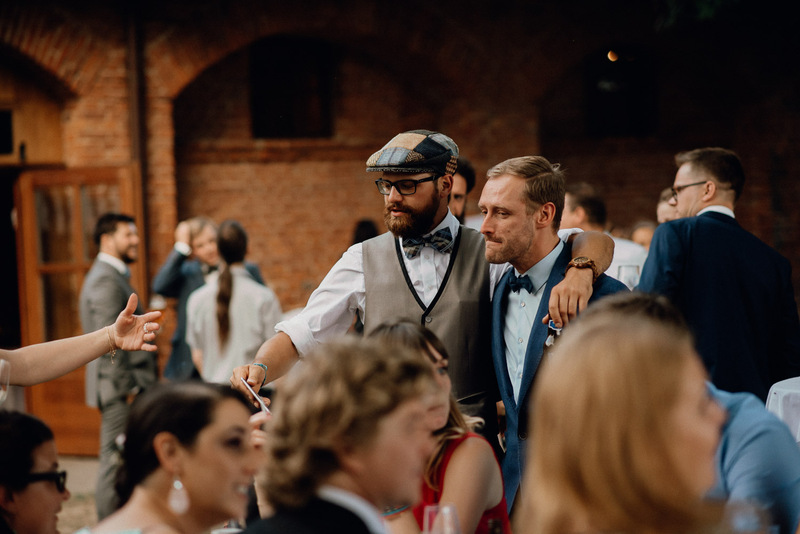 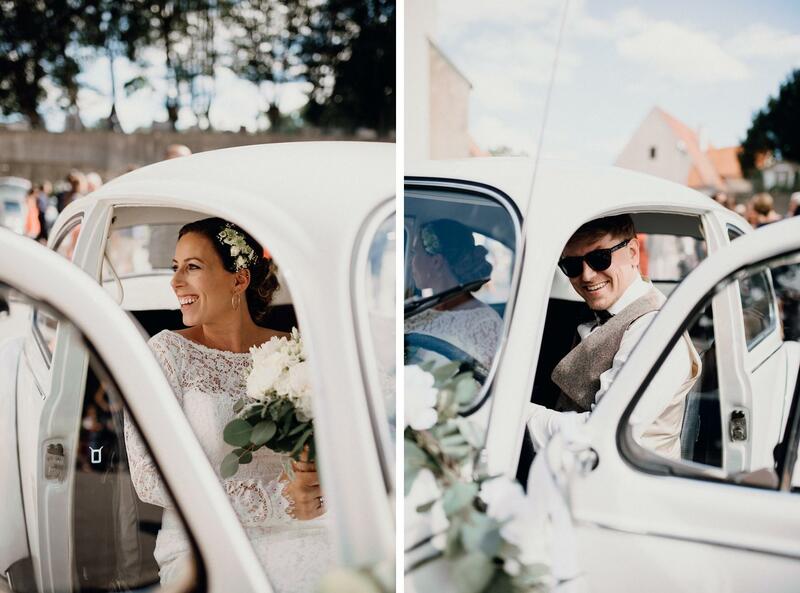 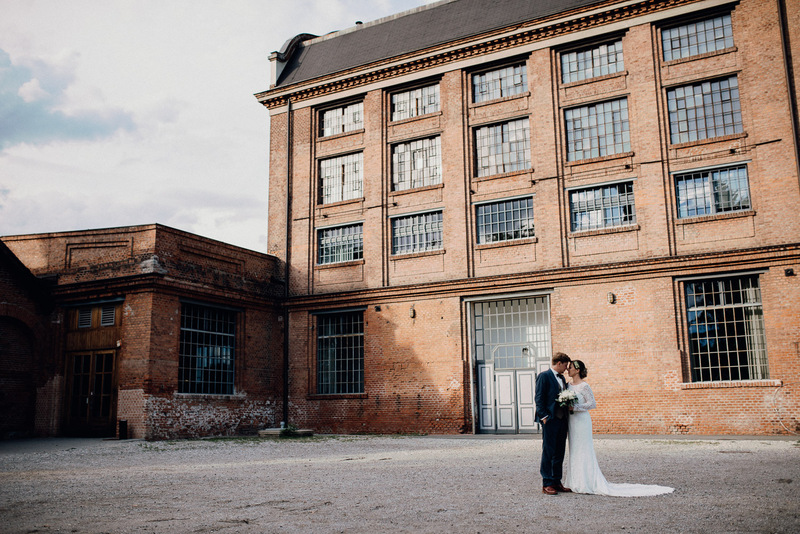 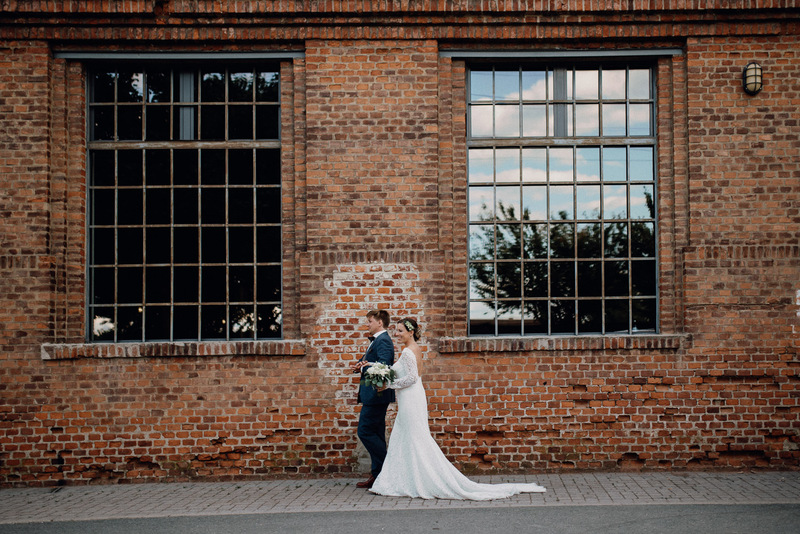 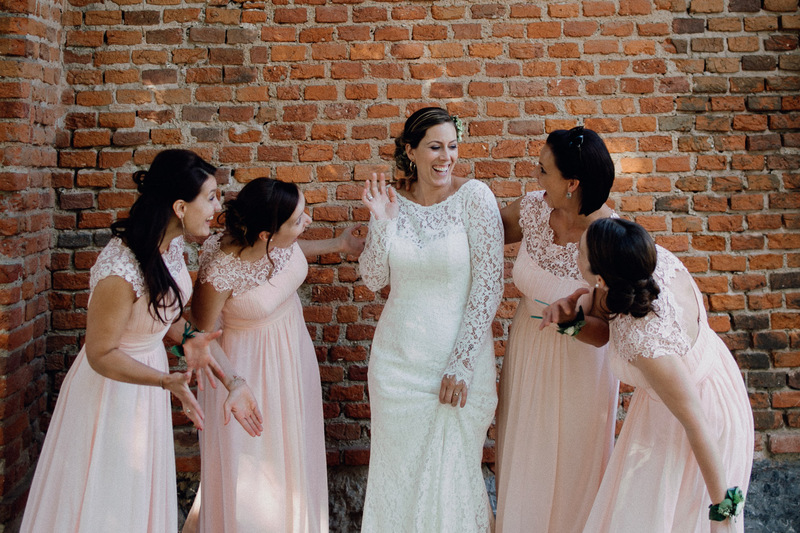 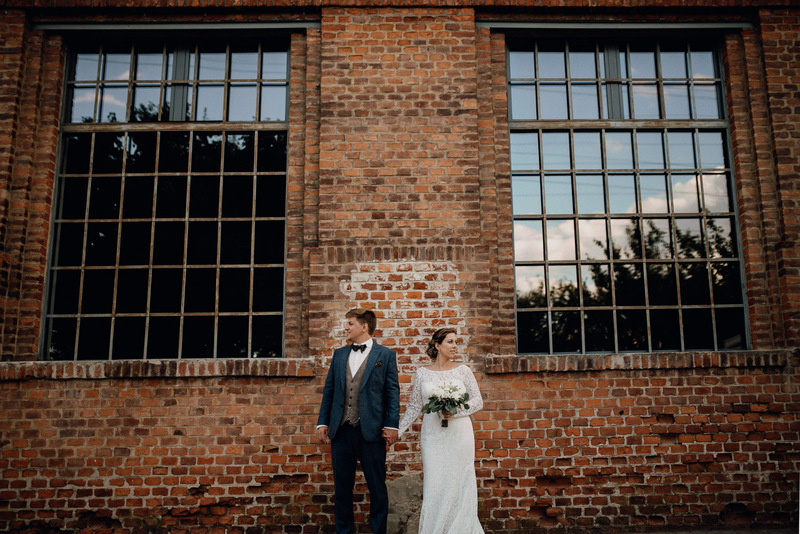 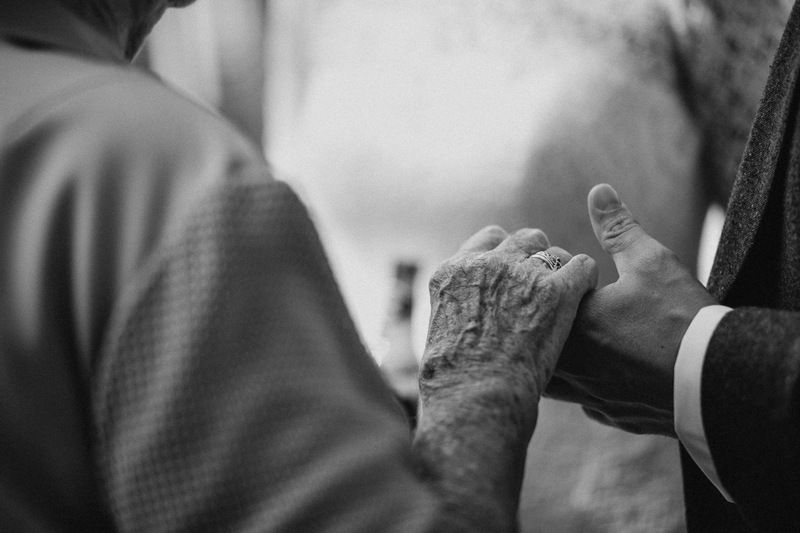 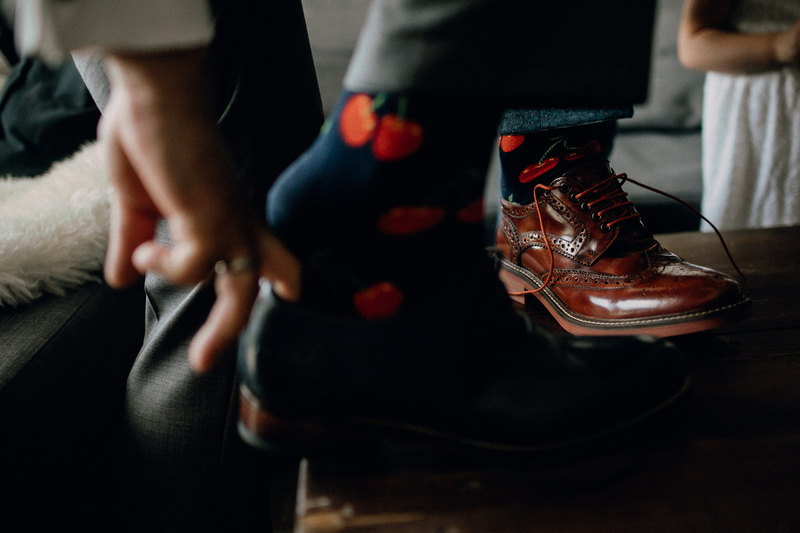 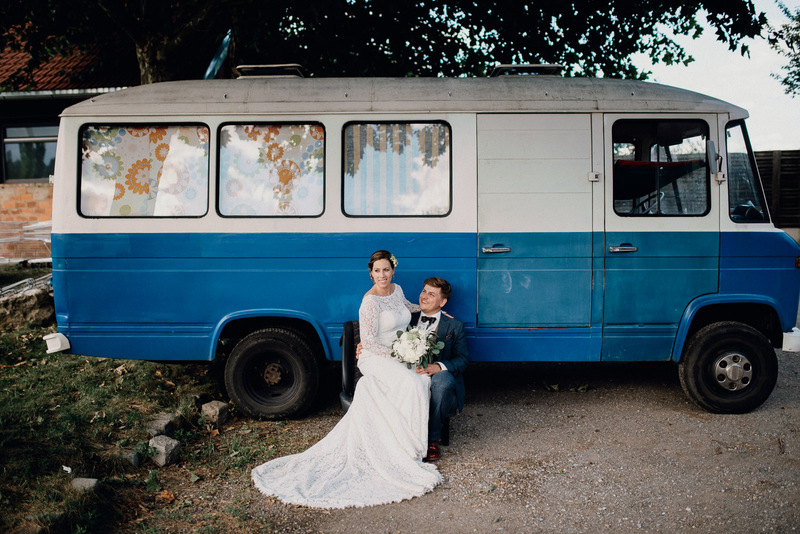 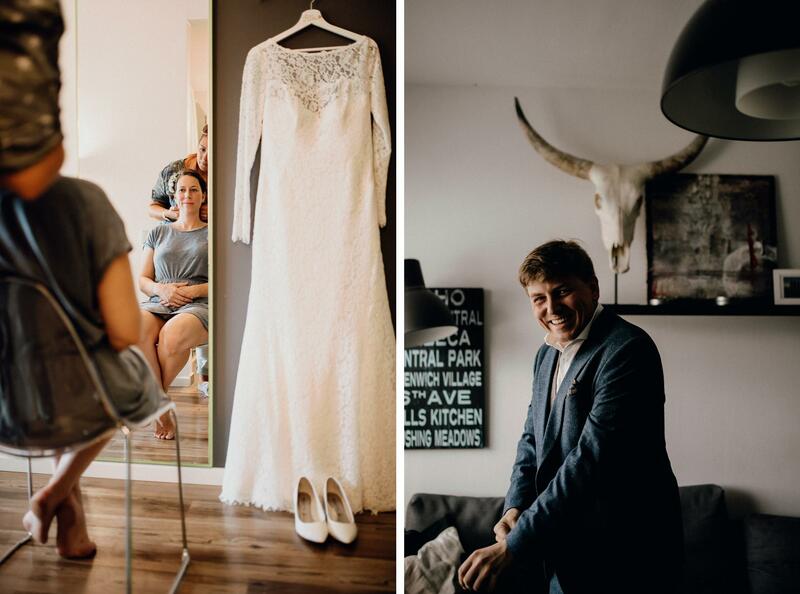 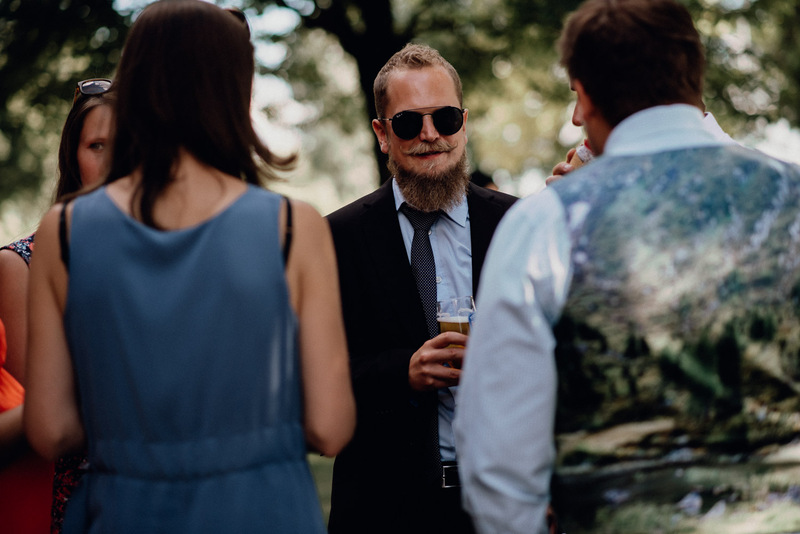 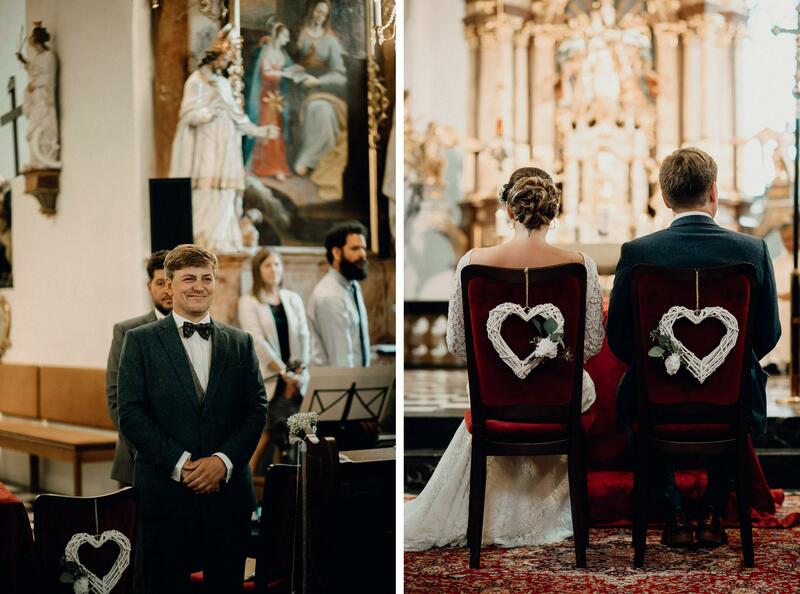 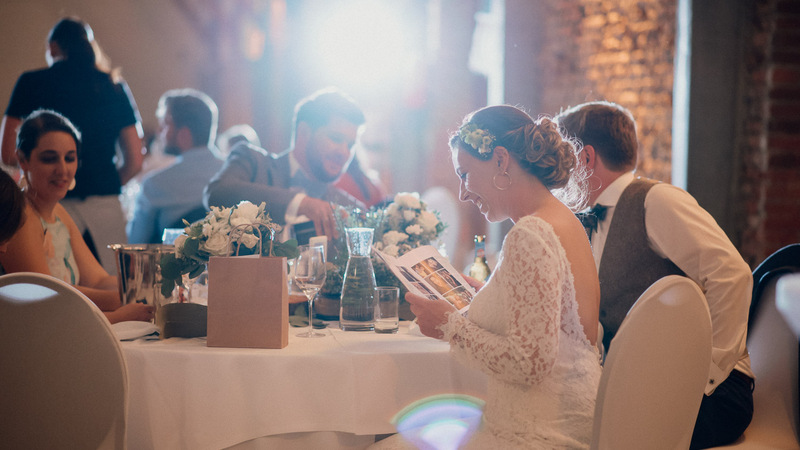 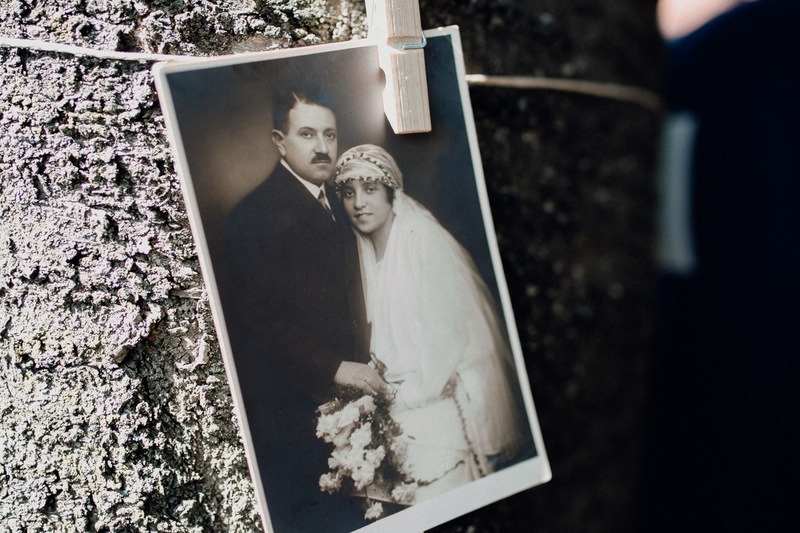 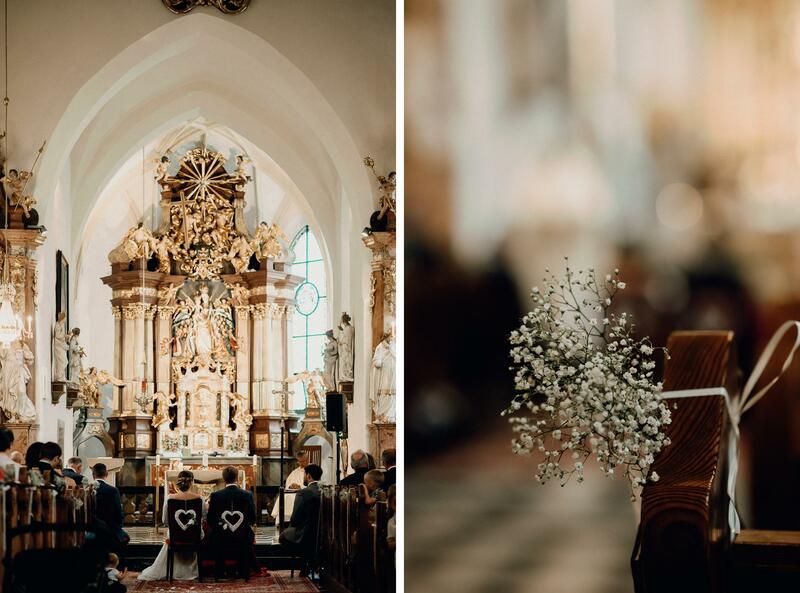 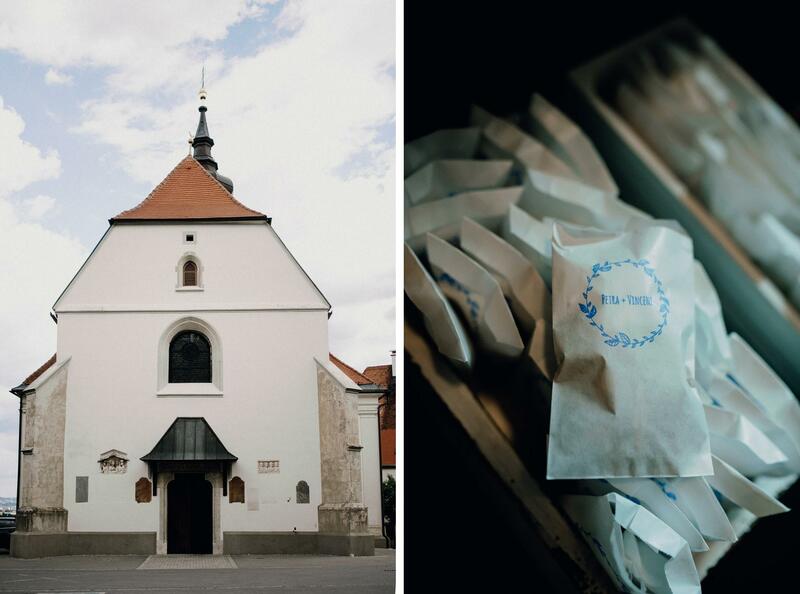 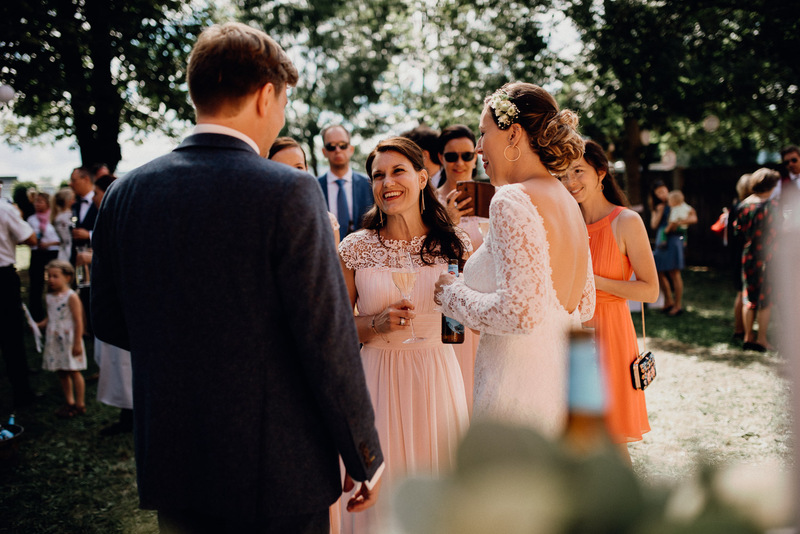 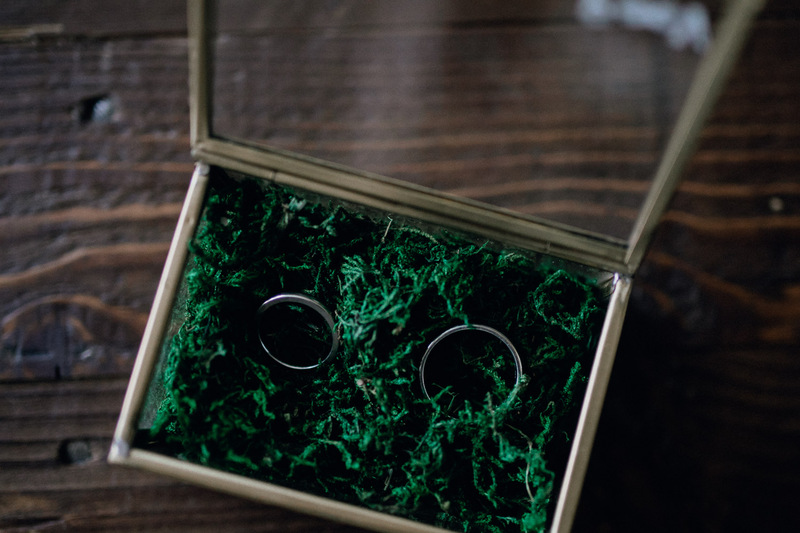 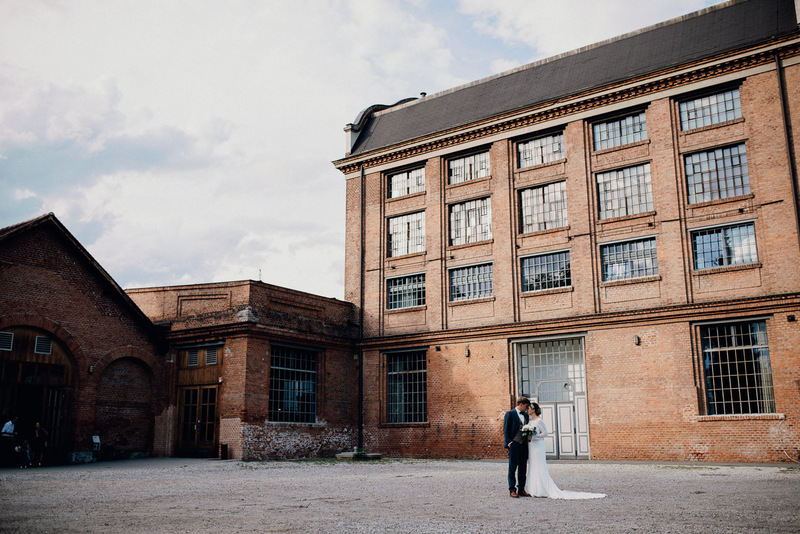 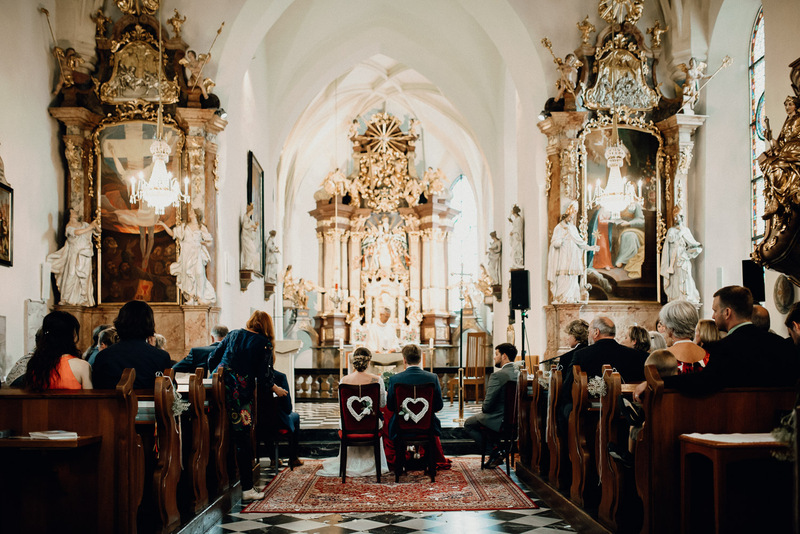 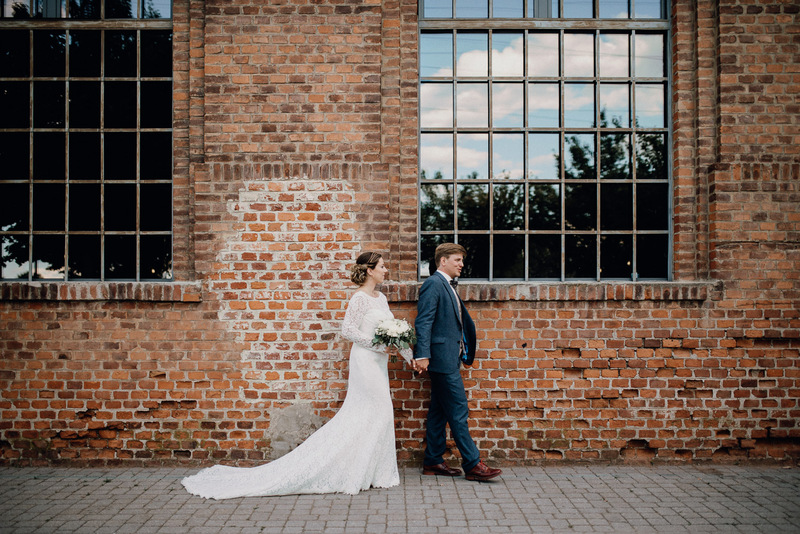 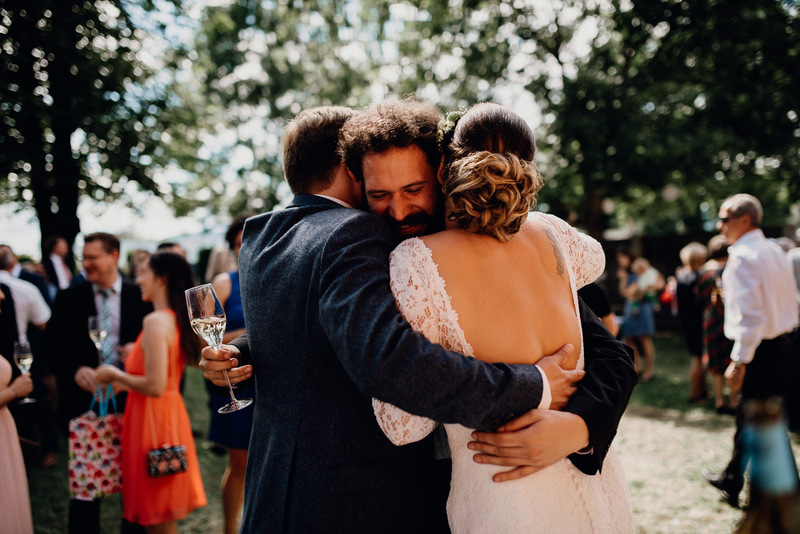 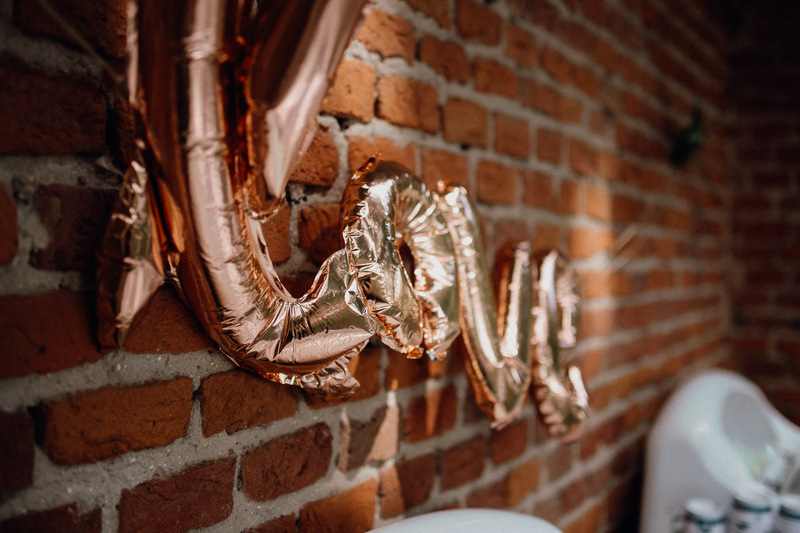 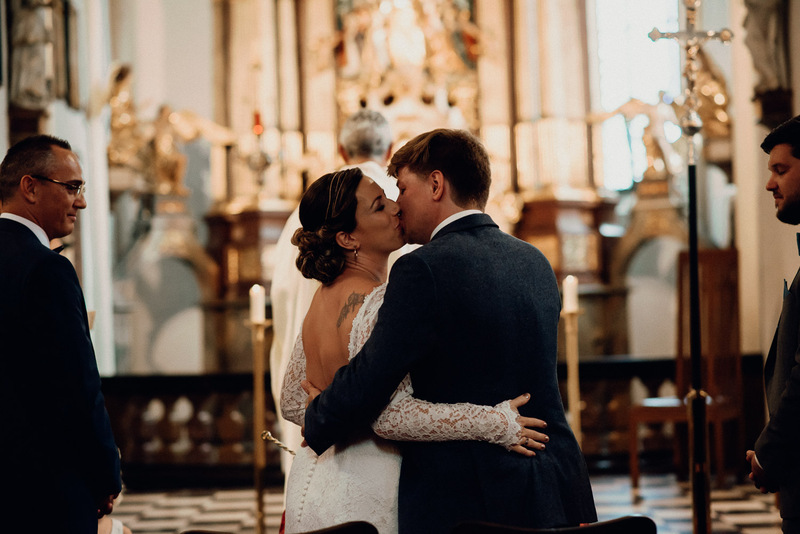 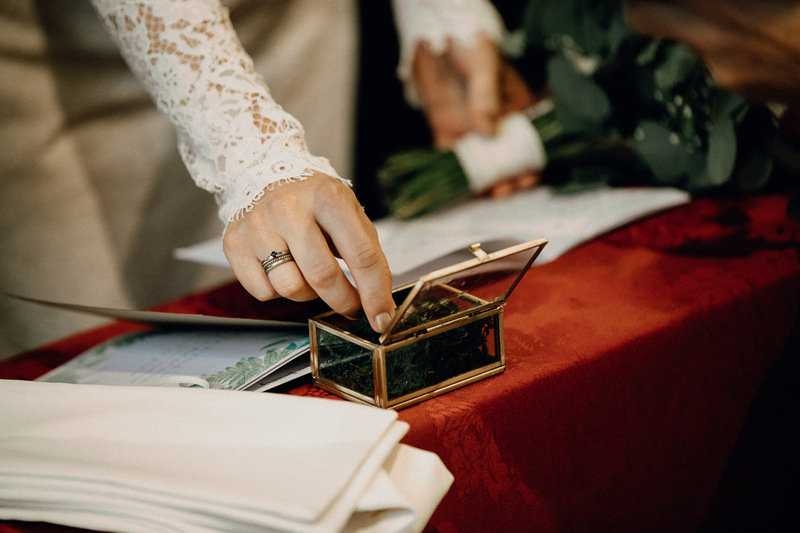 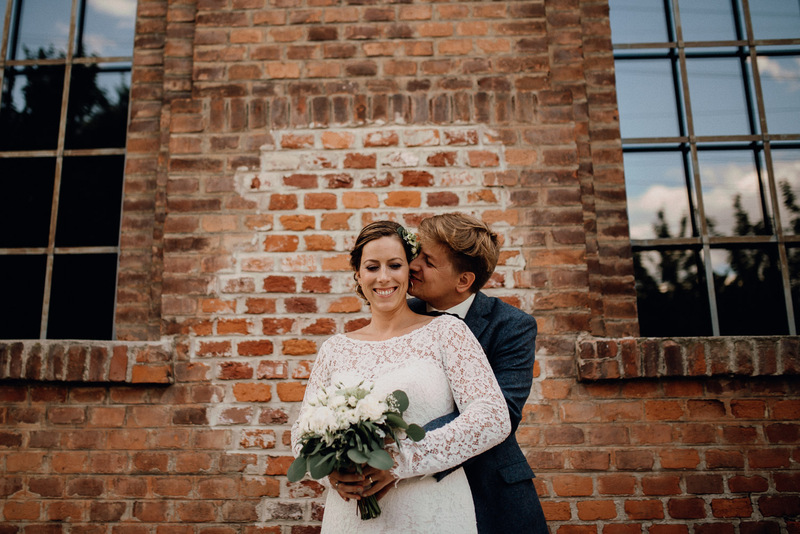 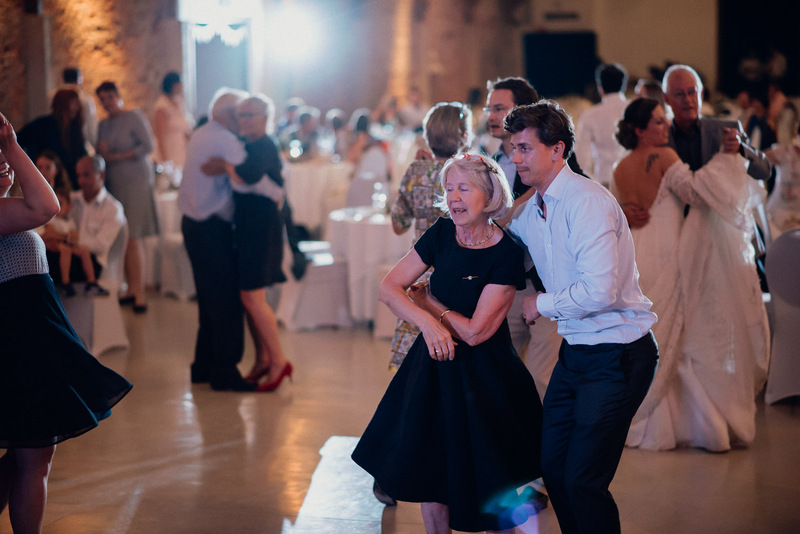 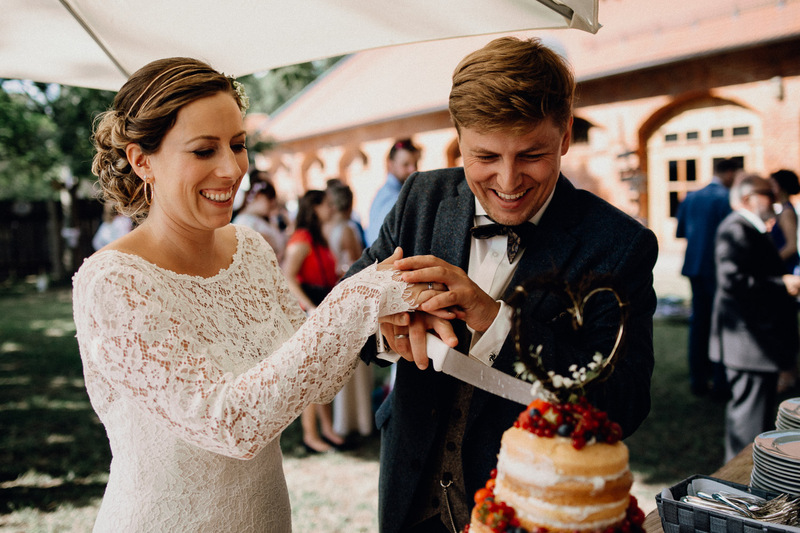 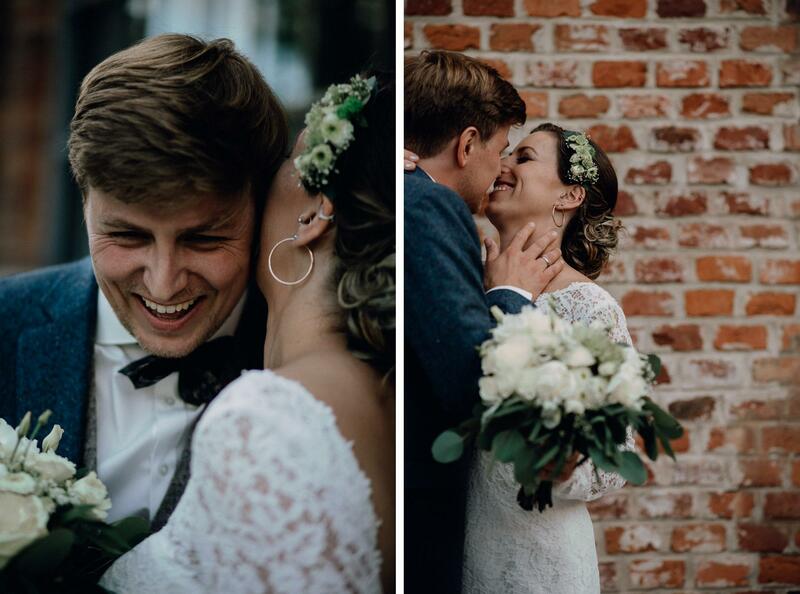 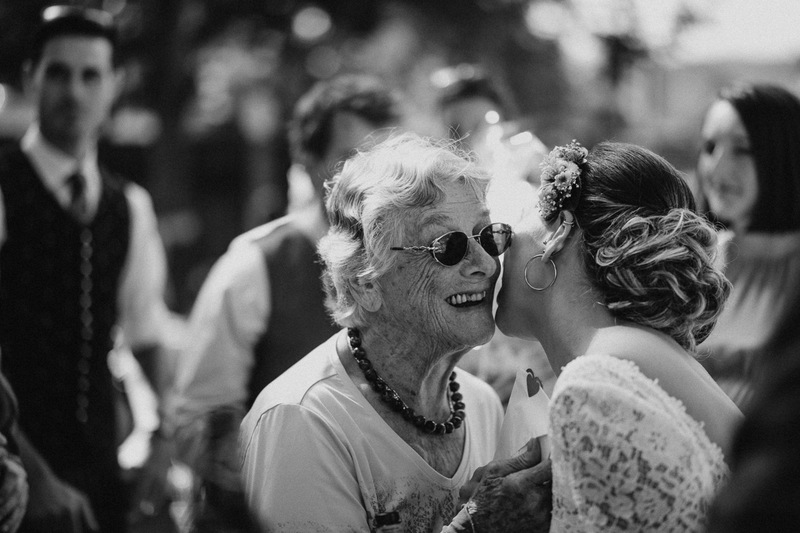 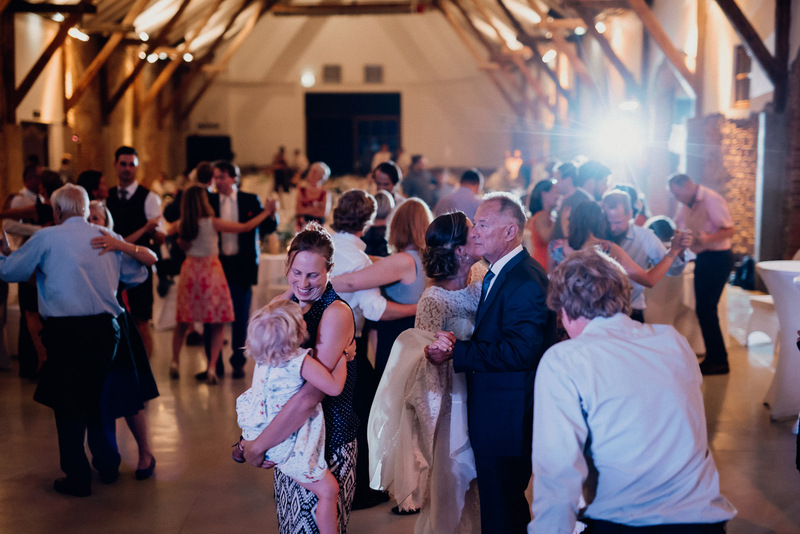 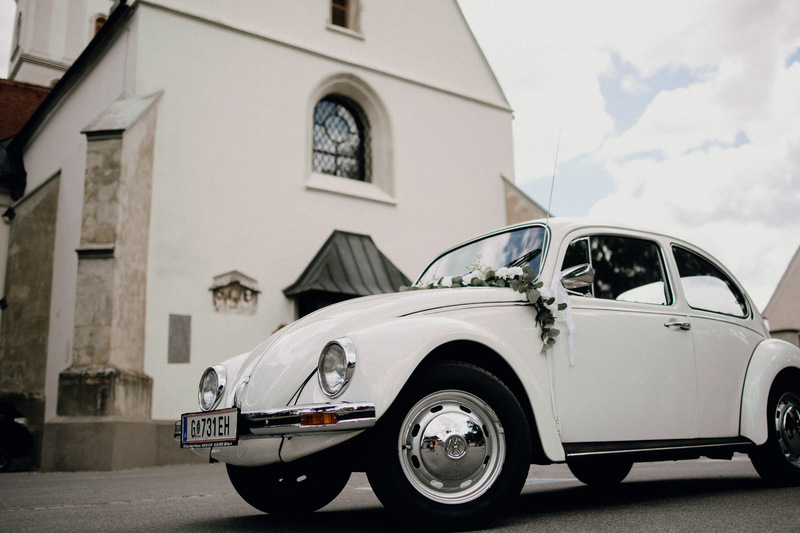 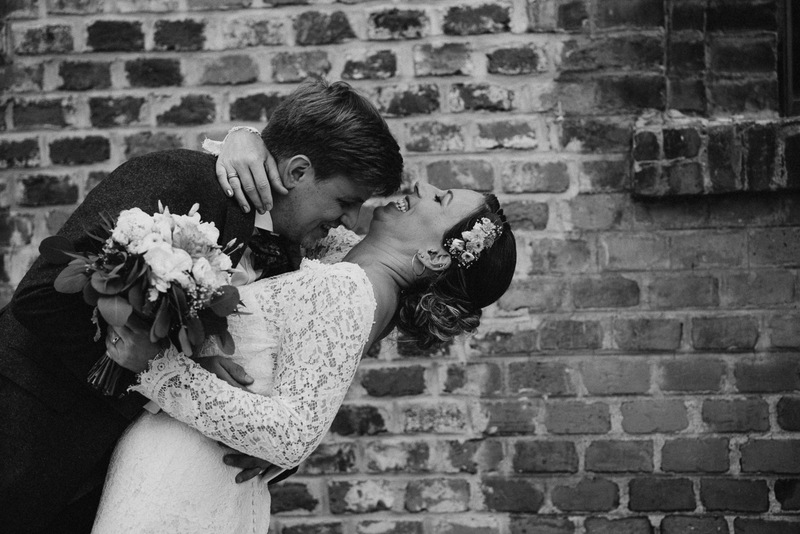 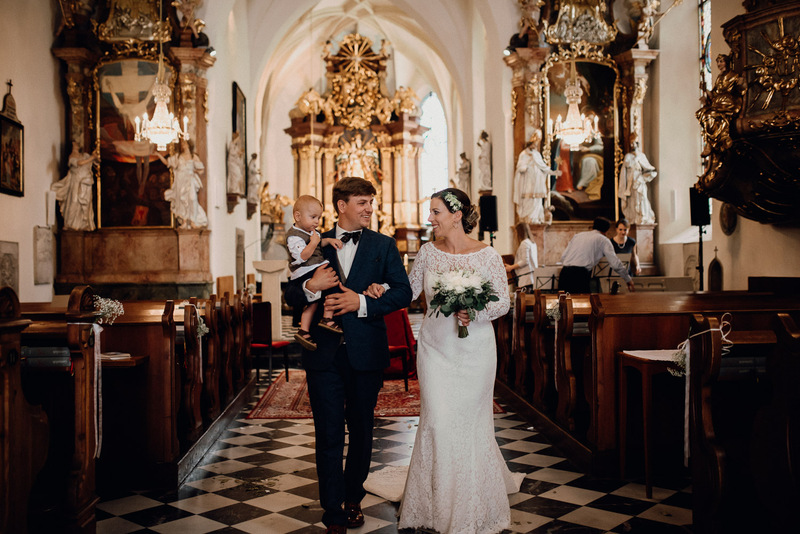 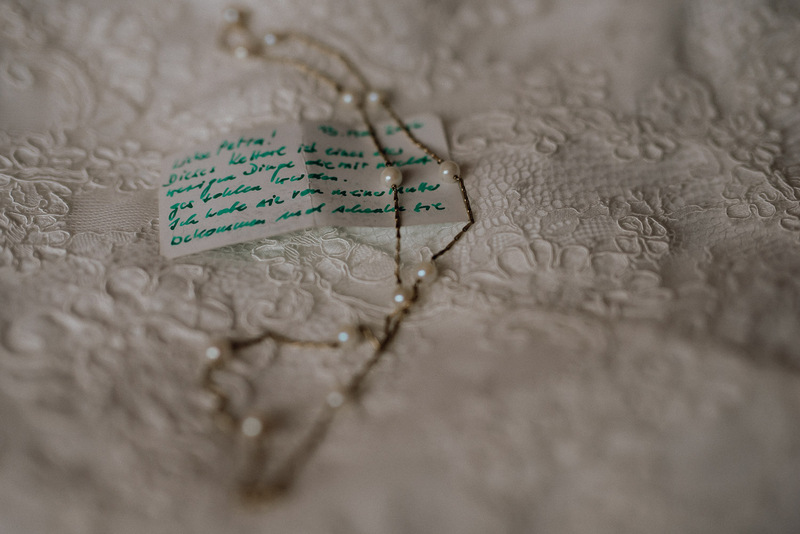 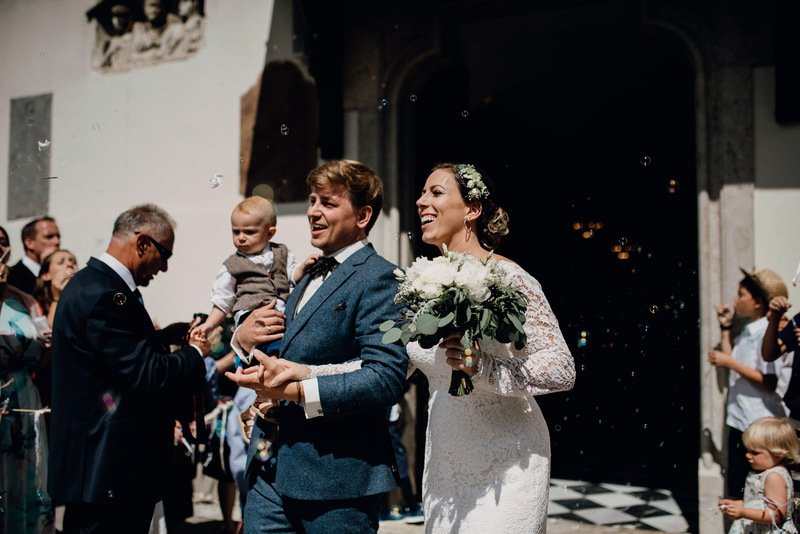 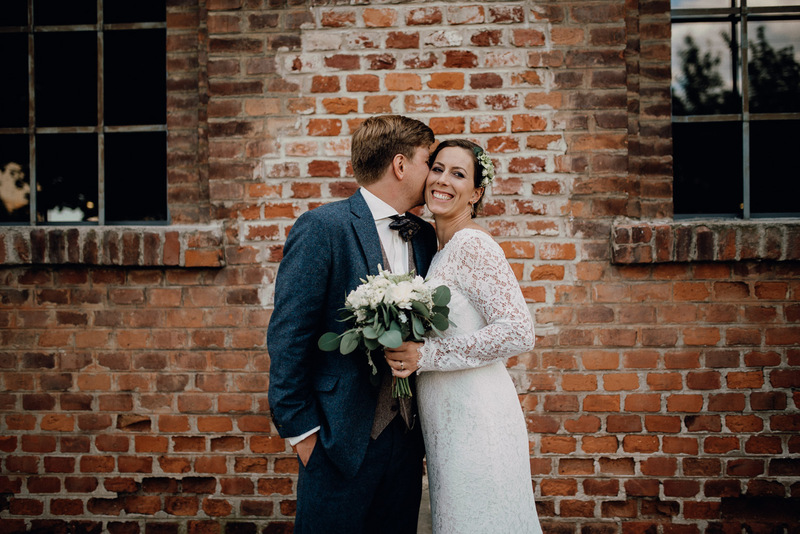 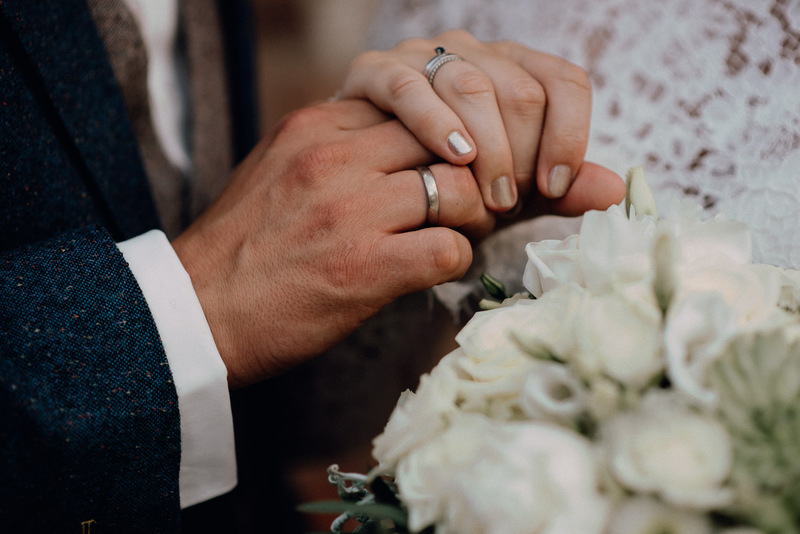 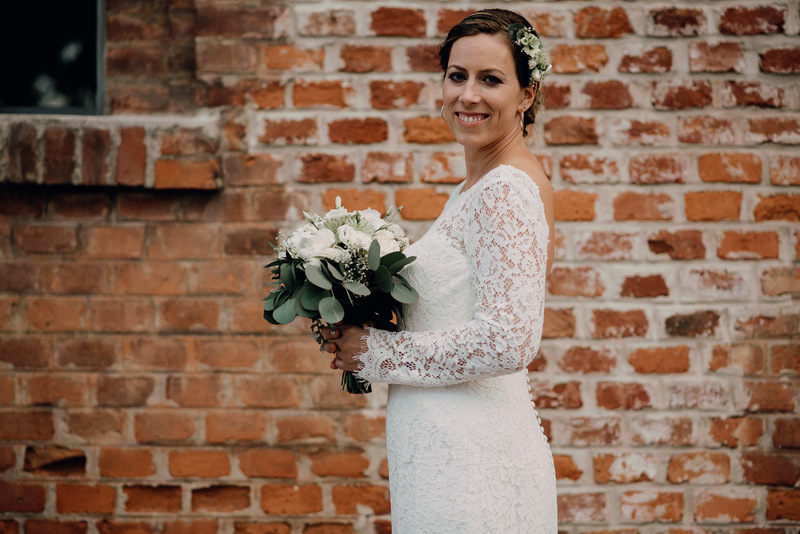 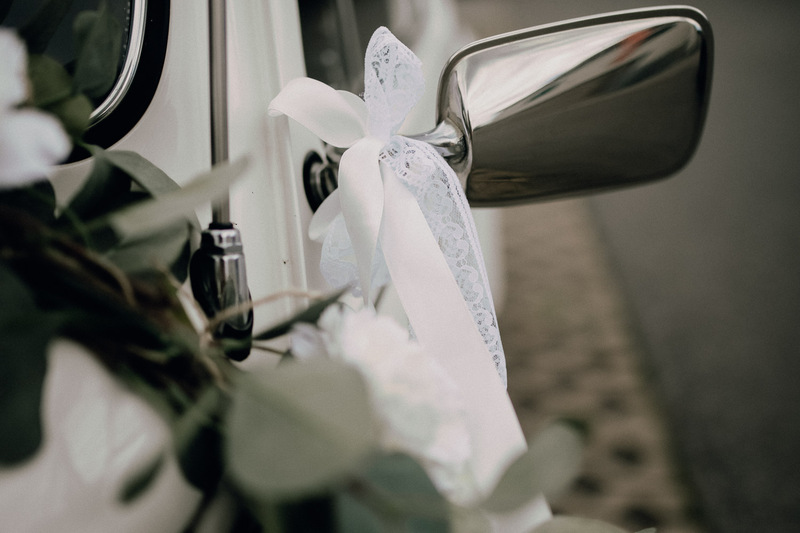 They chose to wed in vintage style in the charming Styrian capital city Graz. 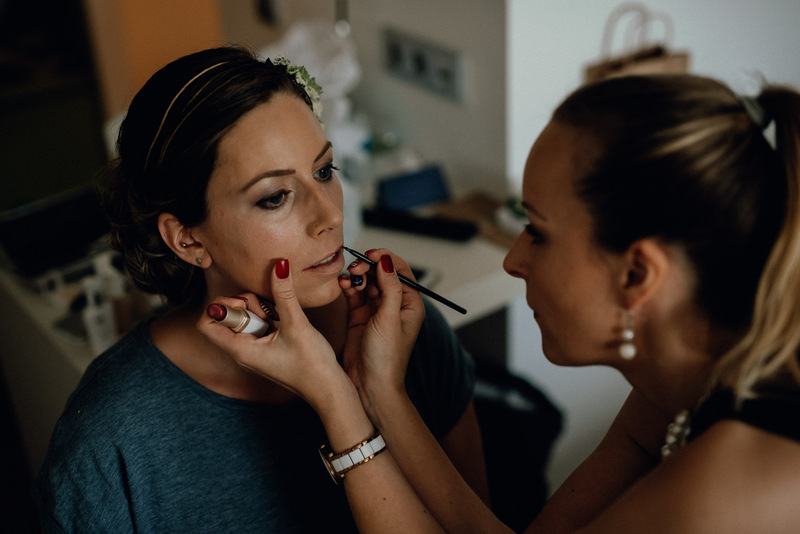 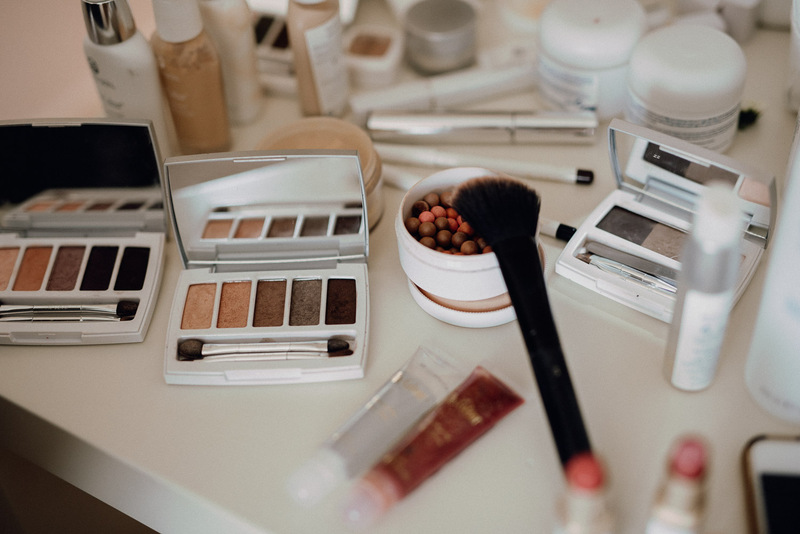 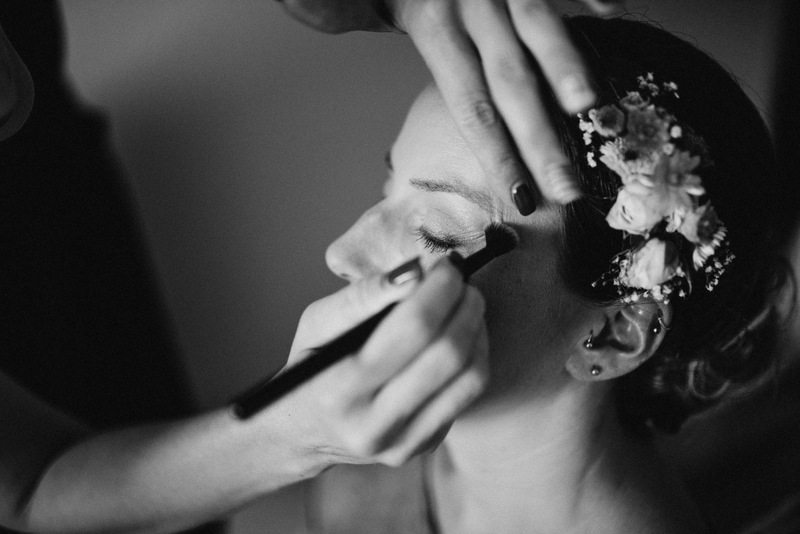 First and foremost, the getting ready took place separately. 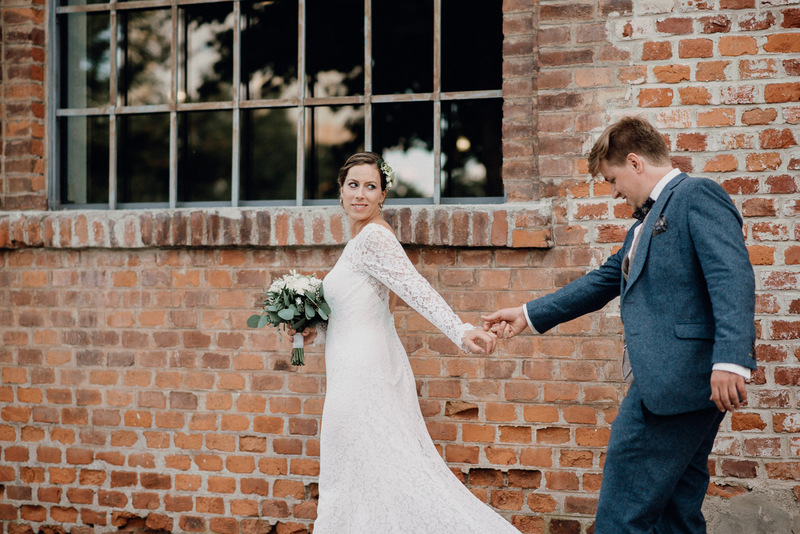 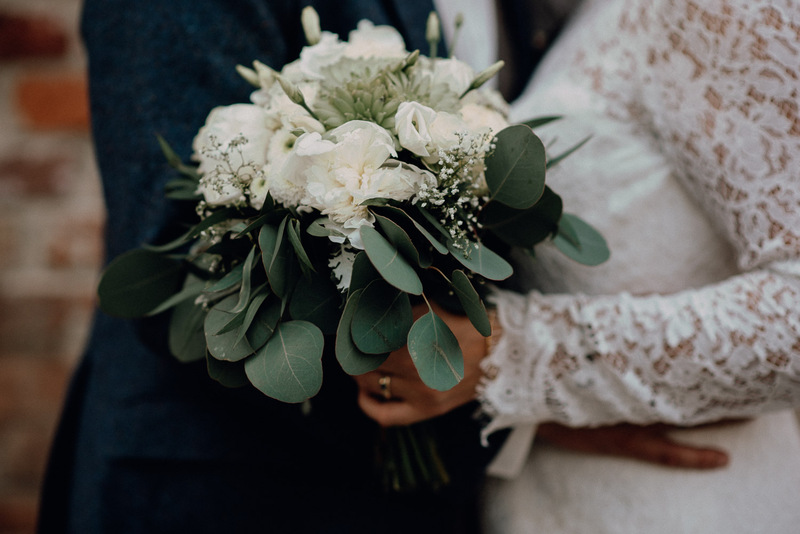 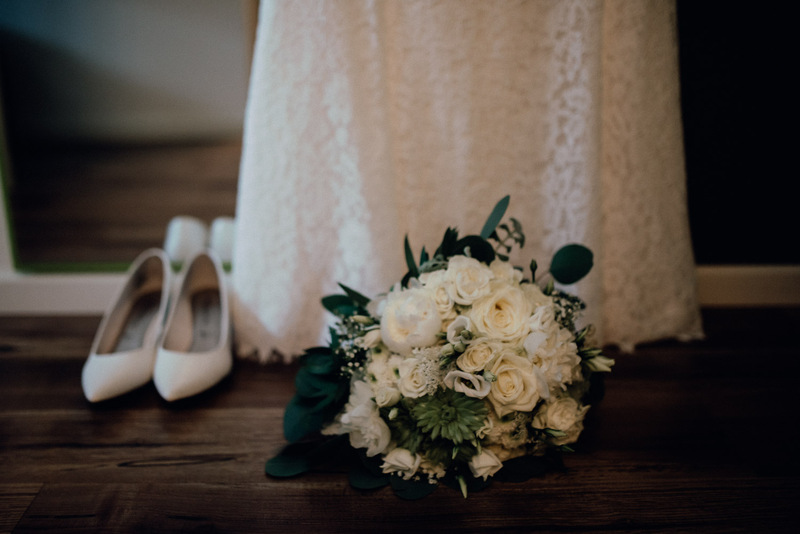 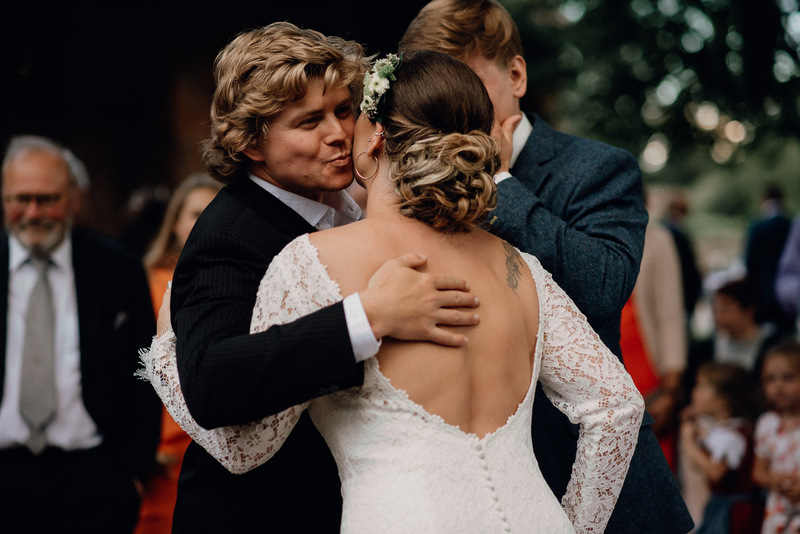 The wedding garment was simple and elegant: The bride showed off her charm in a floor-length, long-sleeved lace dress with a low cut in the back. 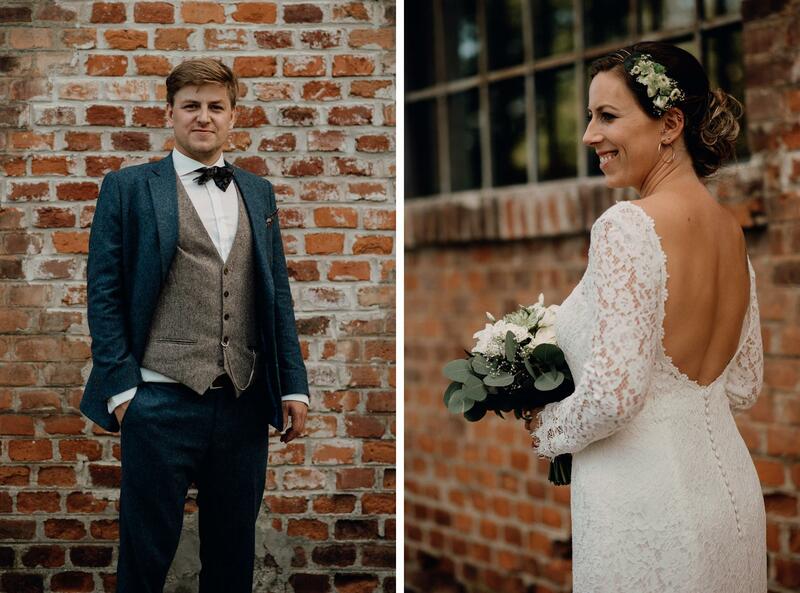 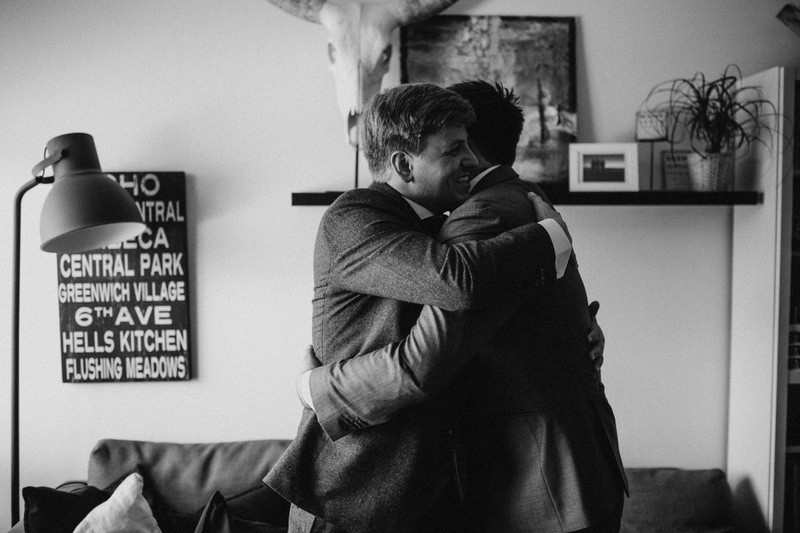 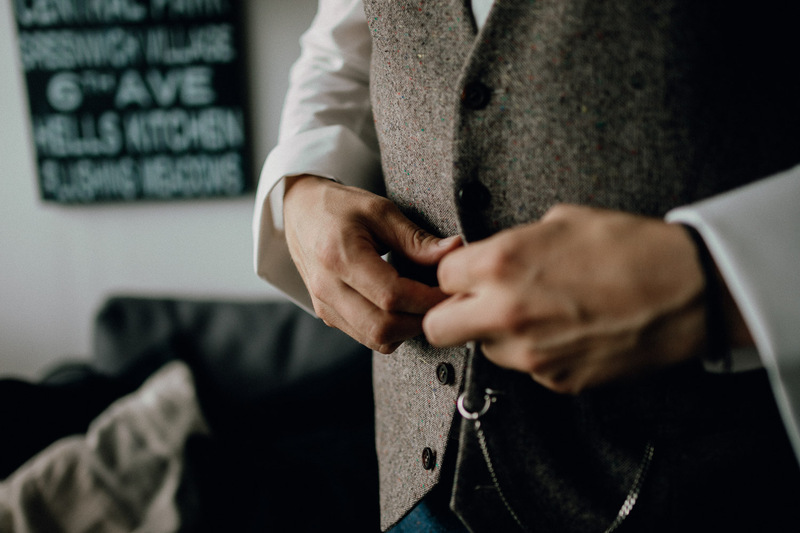 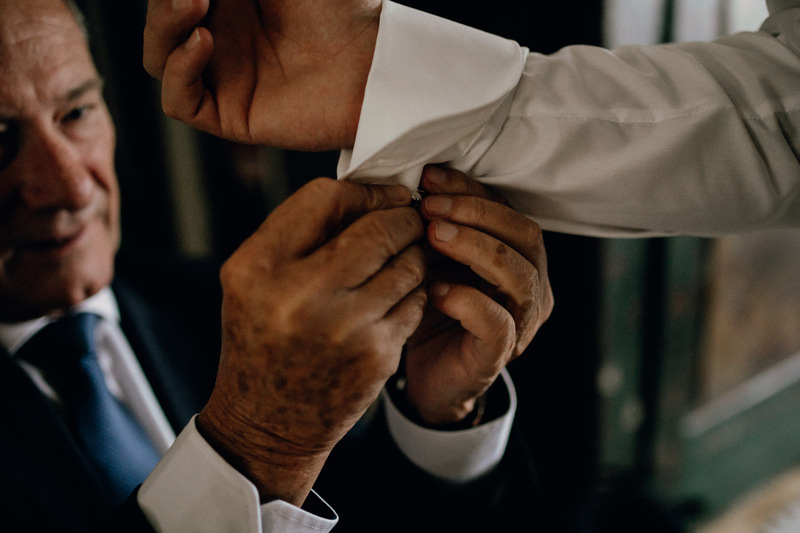 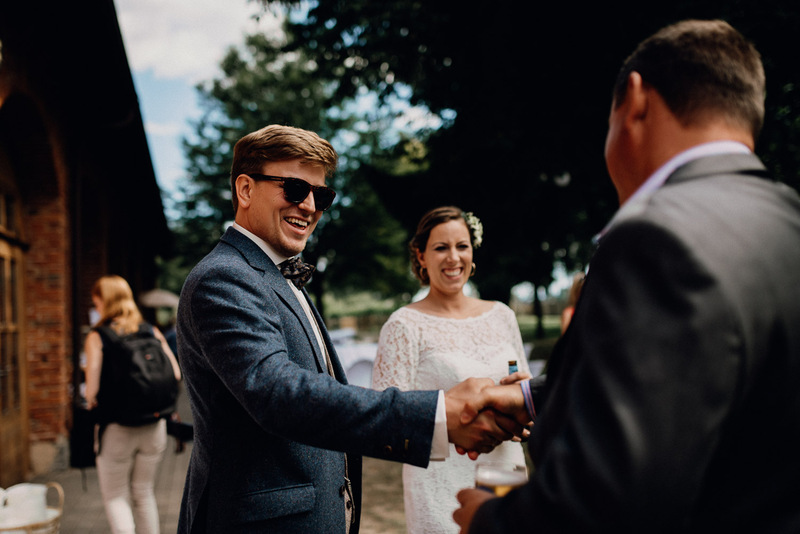 The groom beamed in a white shirt, light gray gilet and dark gray suit with a black patterned bow. 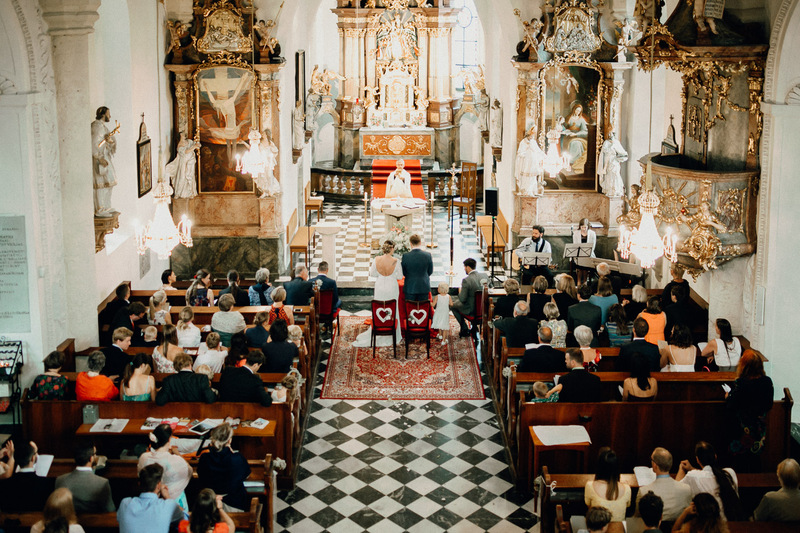 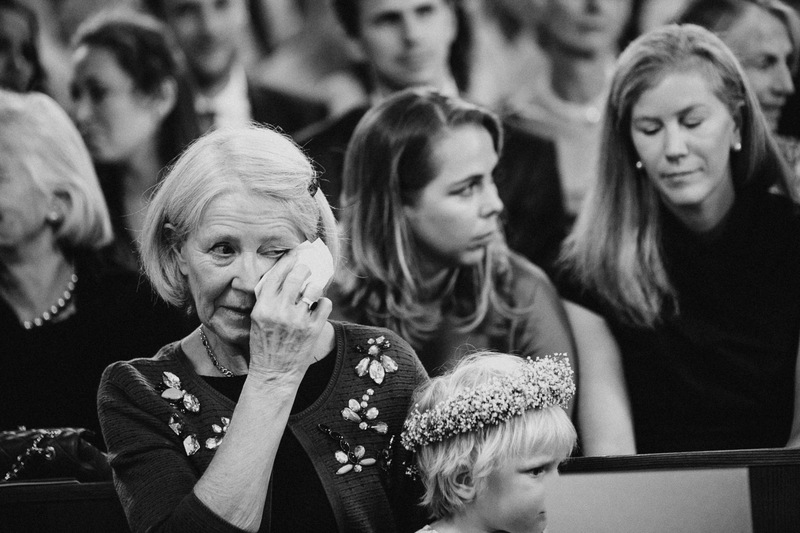 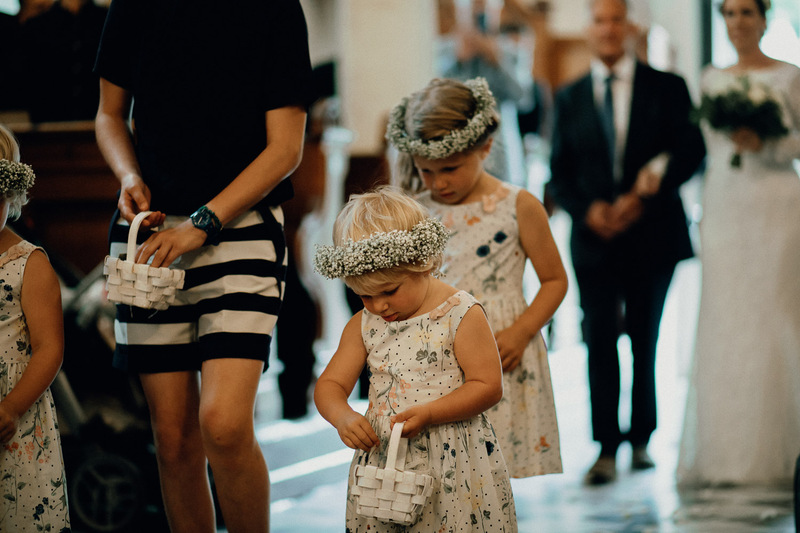 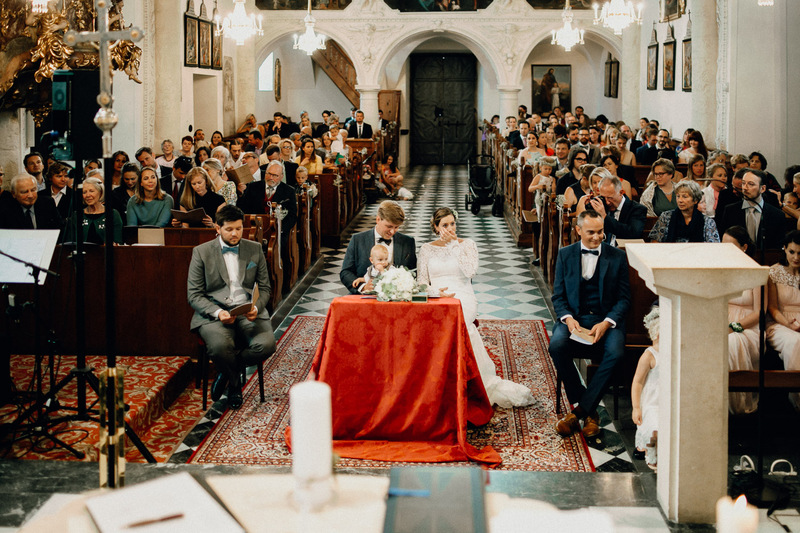 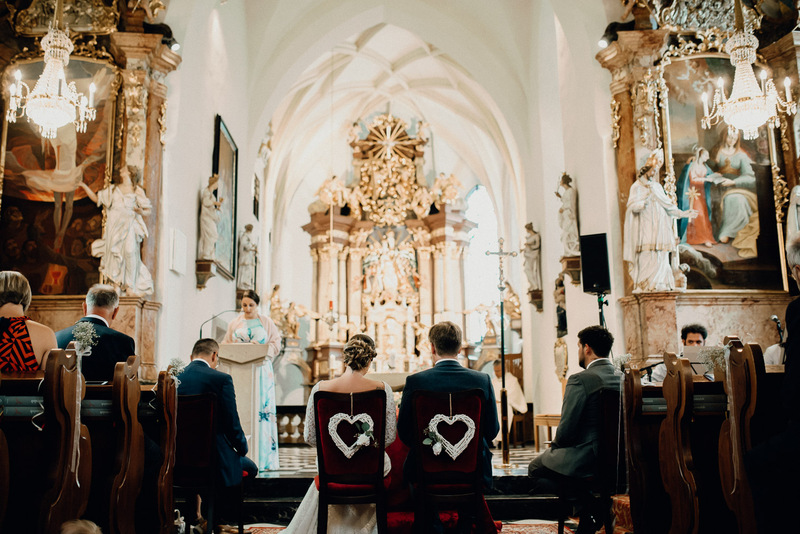 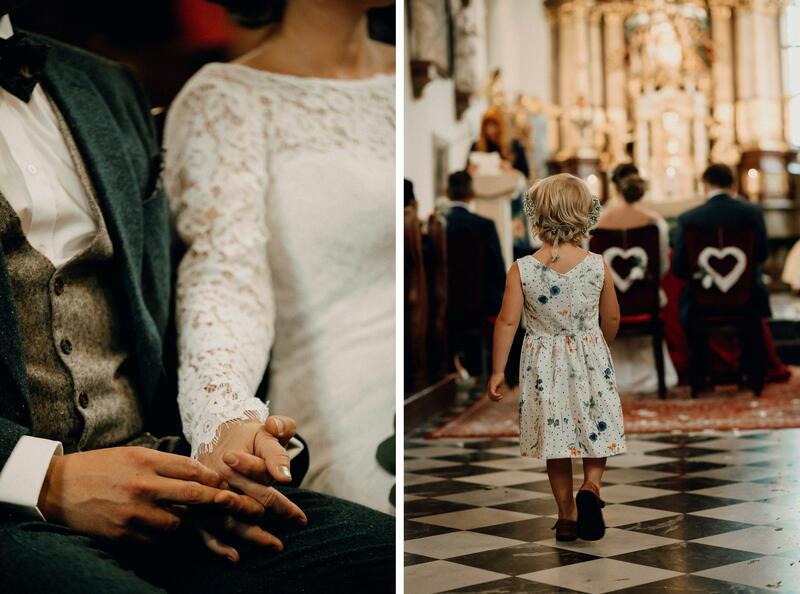 The ceremony took place in a cozy parish church and, following the traditions, Petra was escorted to the altar by her dad. 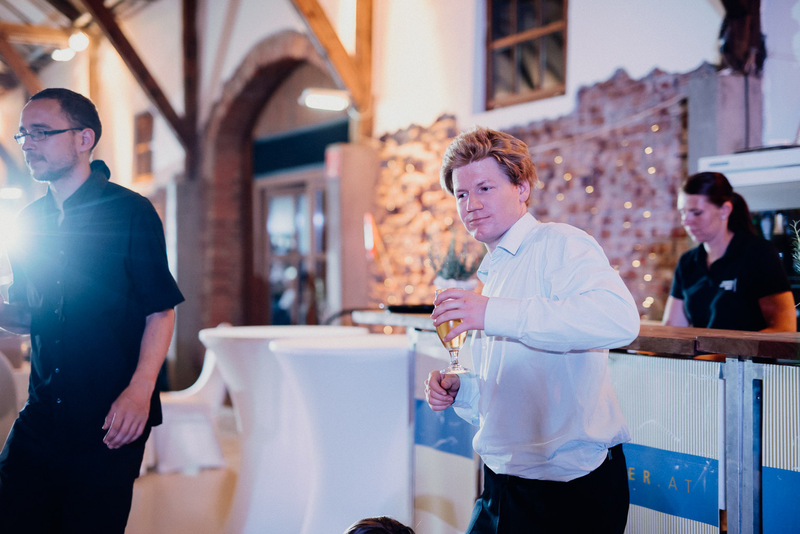 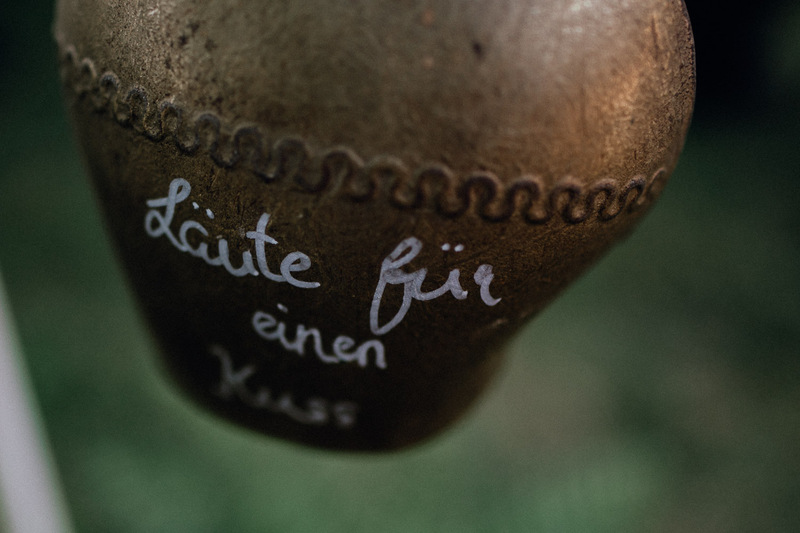 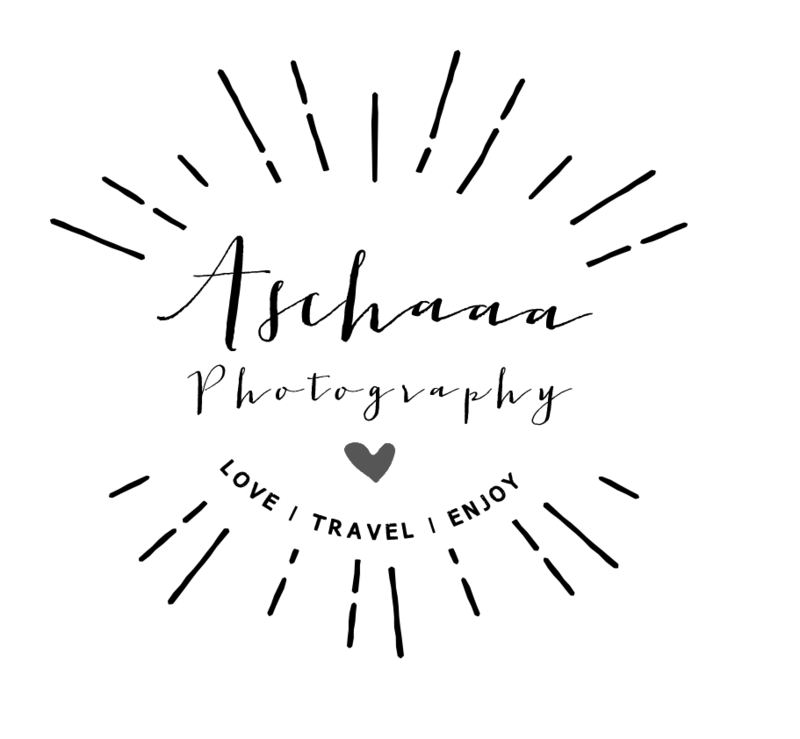 The champagne ceremony – the so-called “Agape” in German – was subsequently held outdoors. 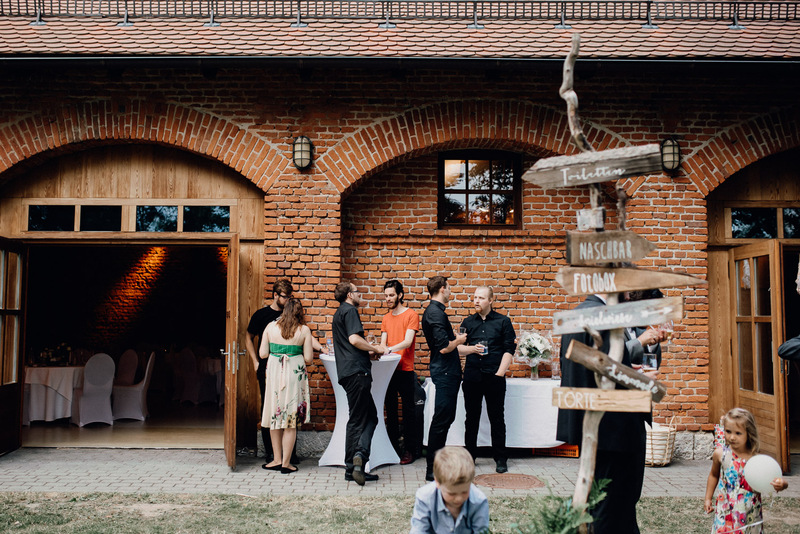 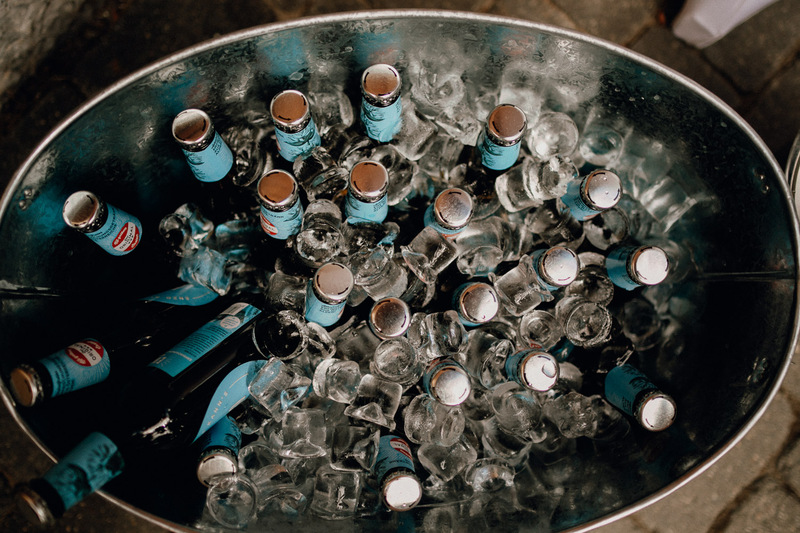 Afterwards, everyone headed to the charming party location: the Soap Factory! 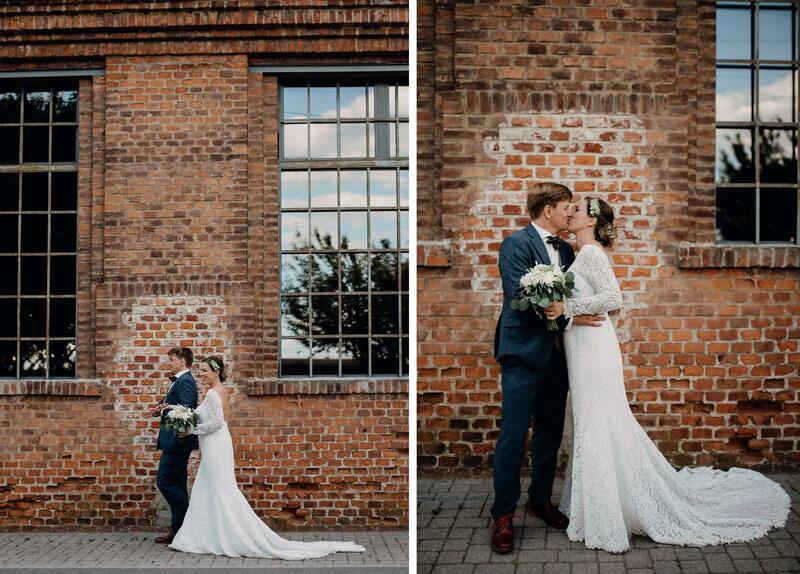 The red brick walls were perfectly suited for the somewhat rustic look. 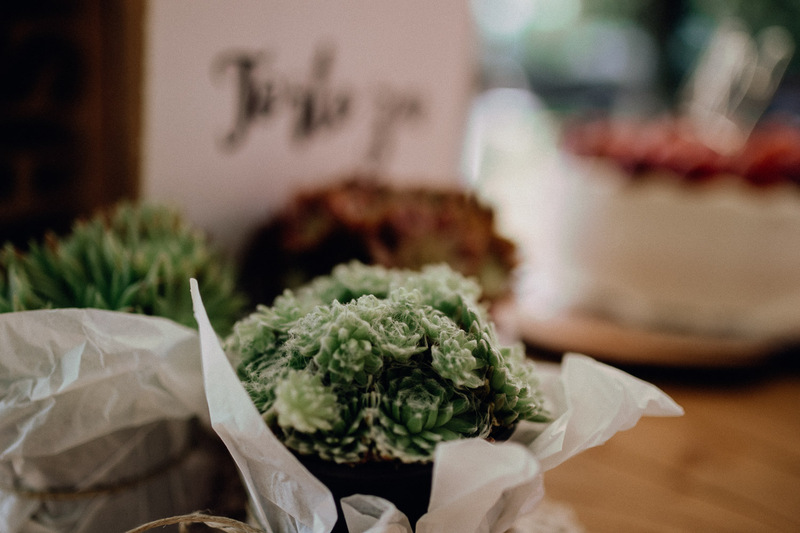 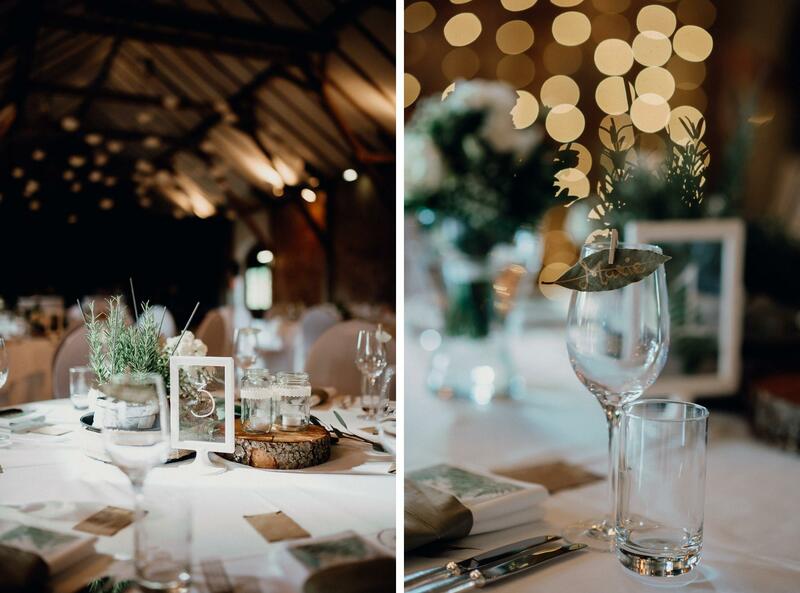 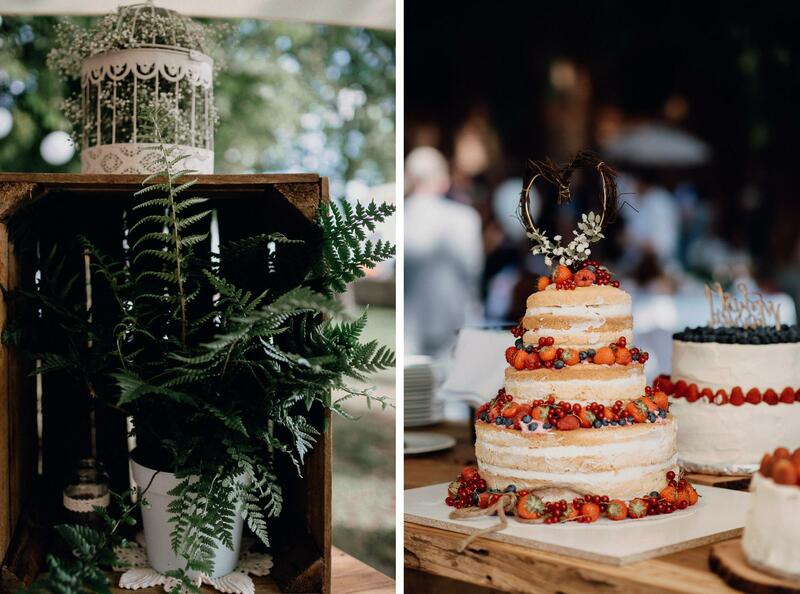 Decorations consisted mainly of many wood elements, wildflowers and green plants, such as succulents, ferns and herbs. 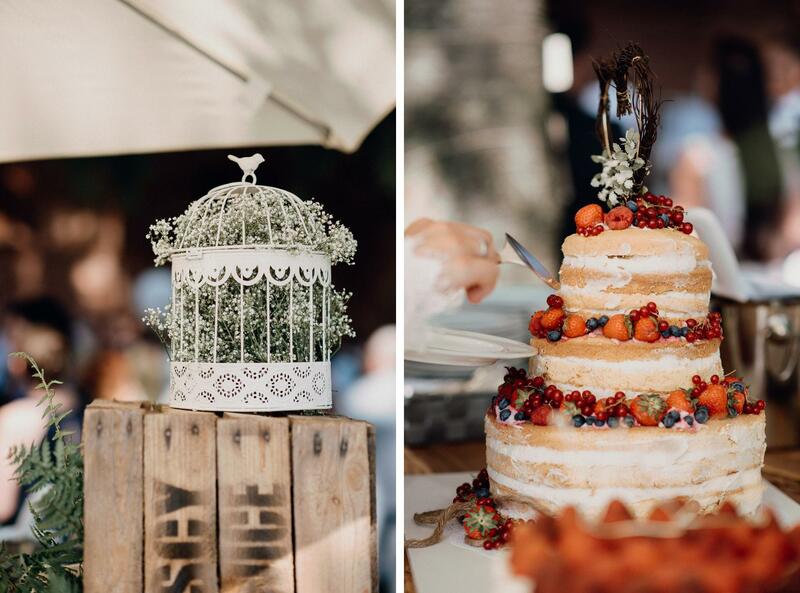 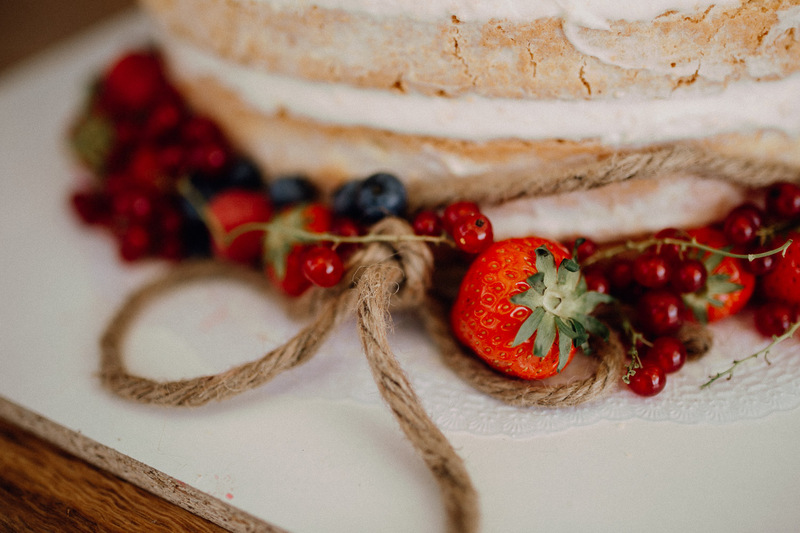 Not only a cake corner – notice how delicious the berry naked cake looks! 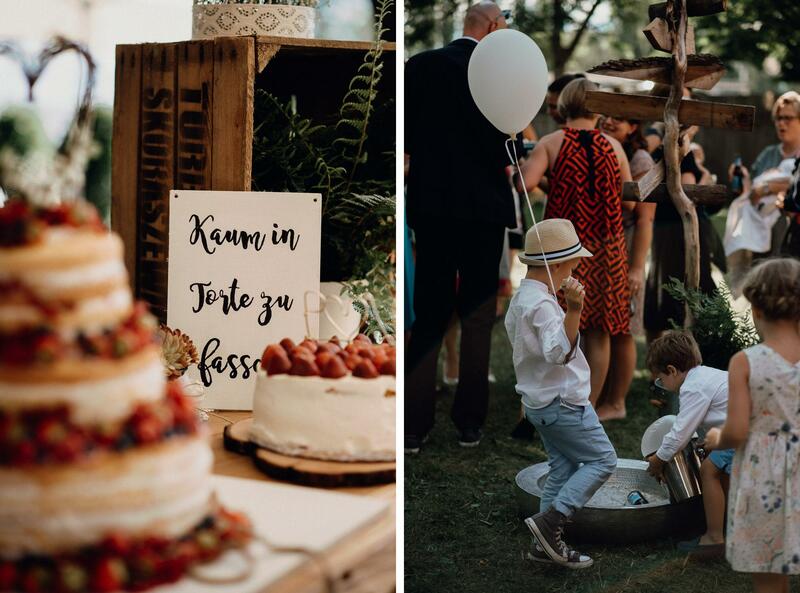 – and a lemonade stand were set up outside of the dining hall, but also a snack bar, photo box and playing area for kids. 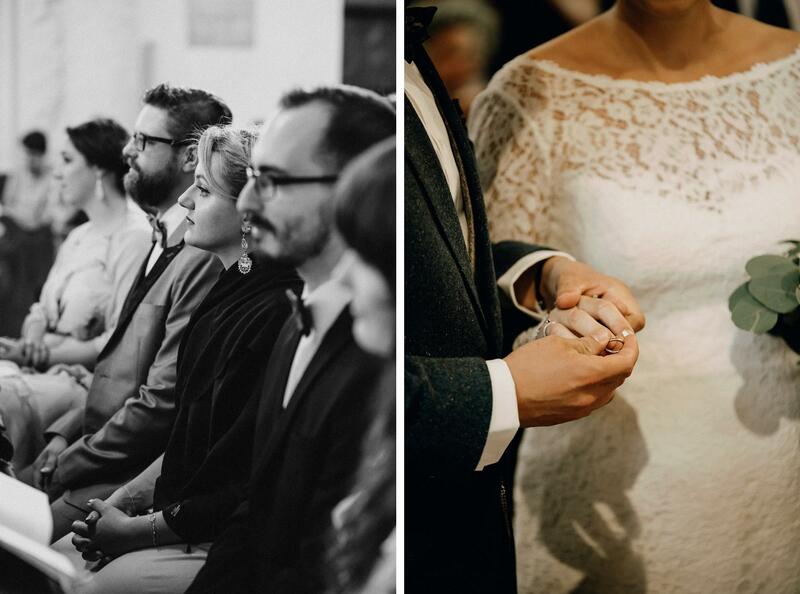 Everything was perfectly planned and the wedding went smoothly. 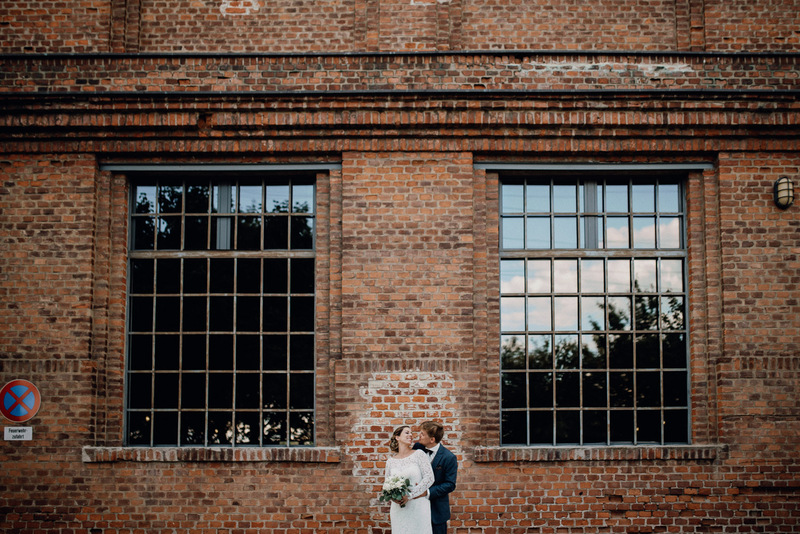 We also found pretty spots directly on the site of the Soap Factory for a shoot. 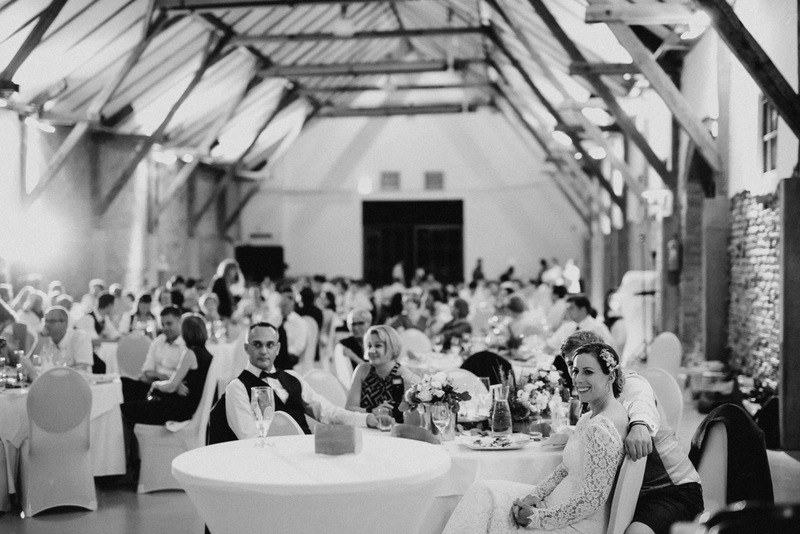 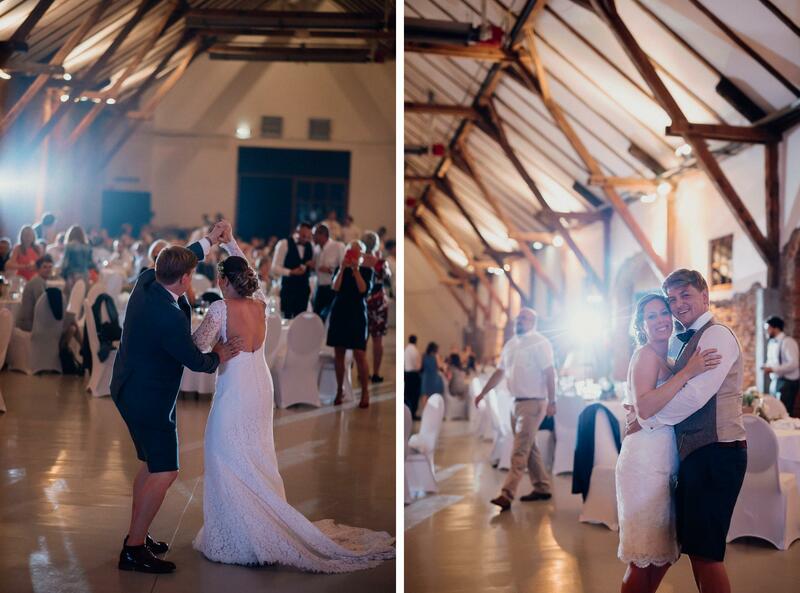 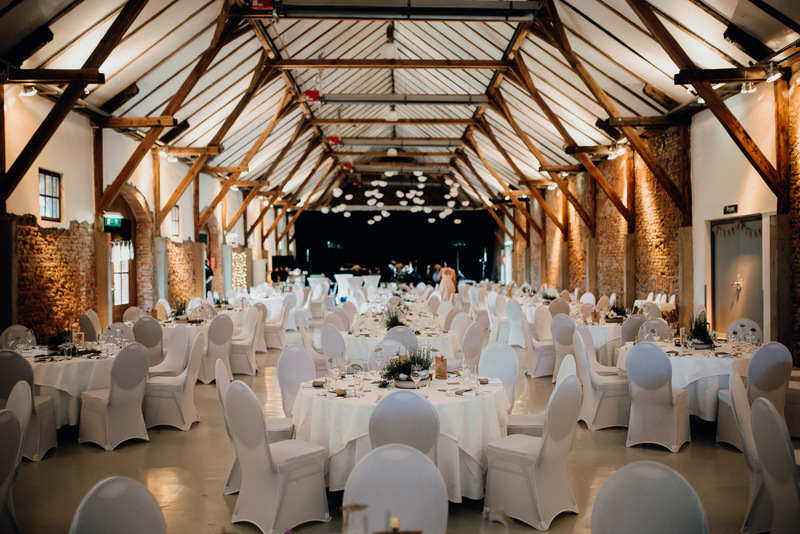 In the evening, everyone dined and celebrated extensively in the welcoming hall. 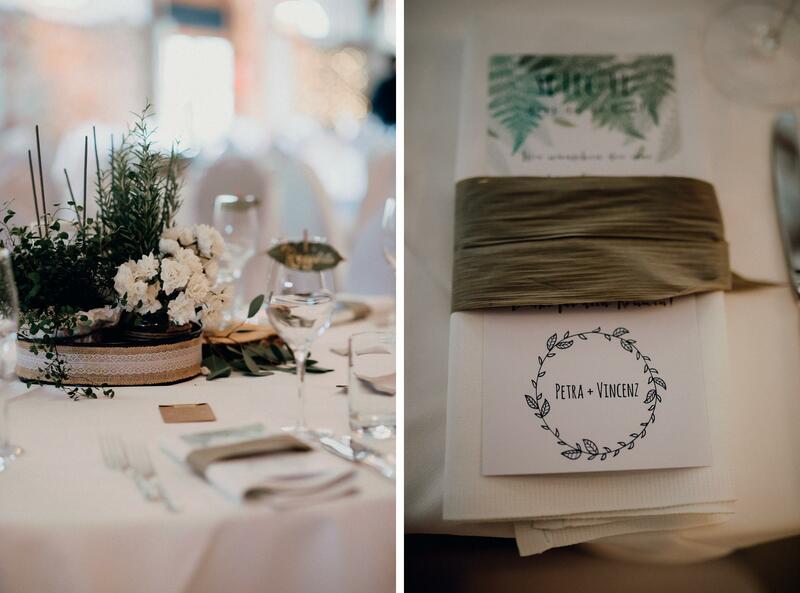 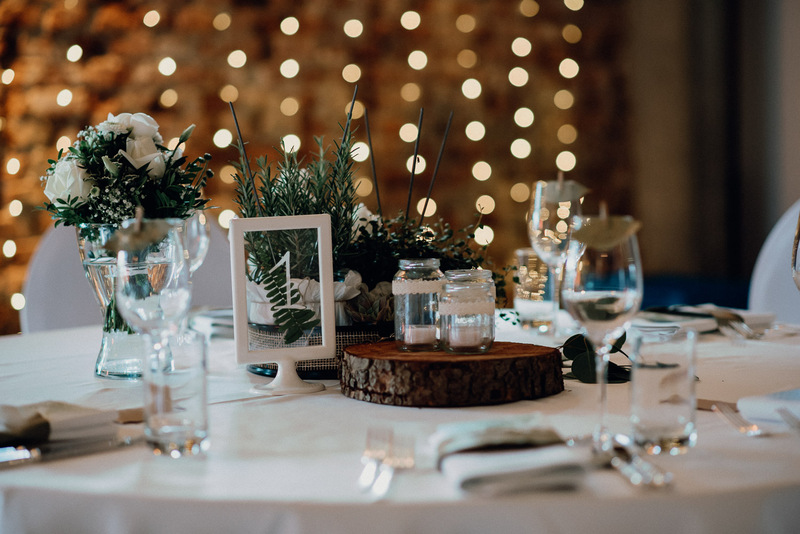 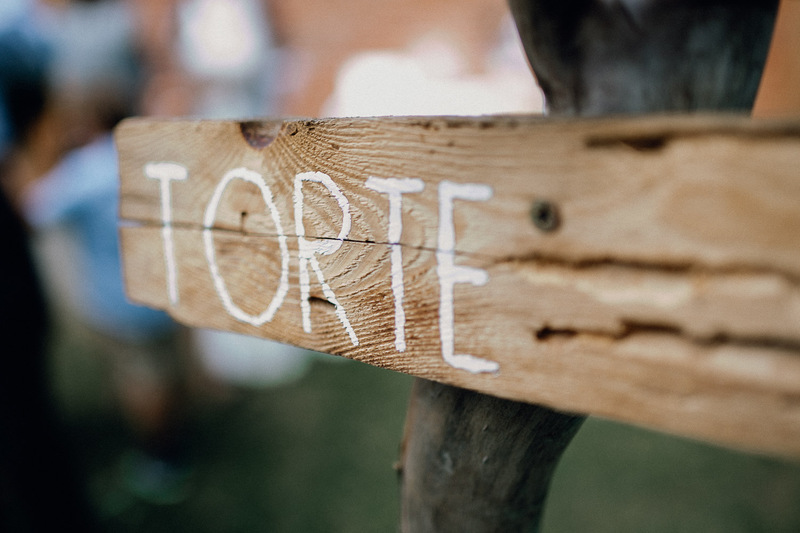 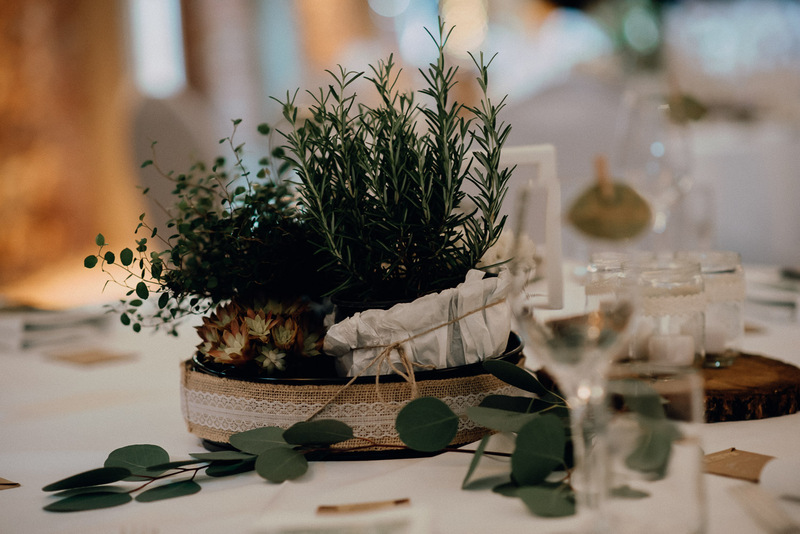 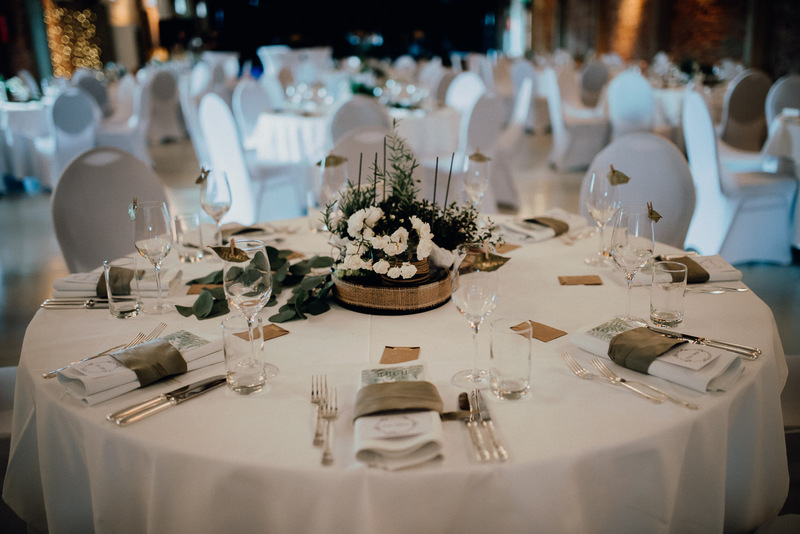 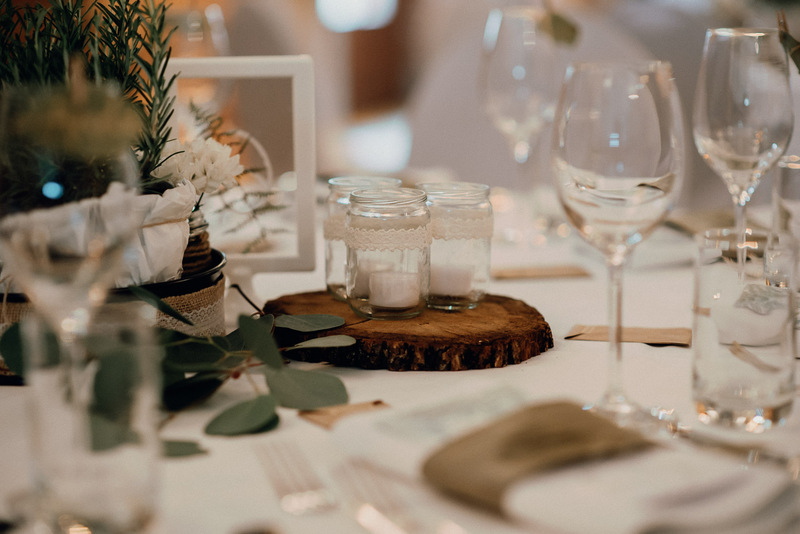 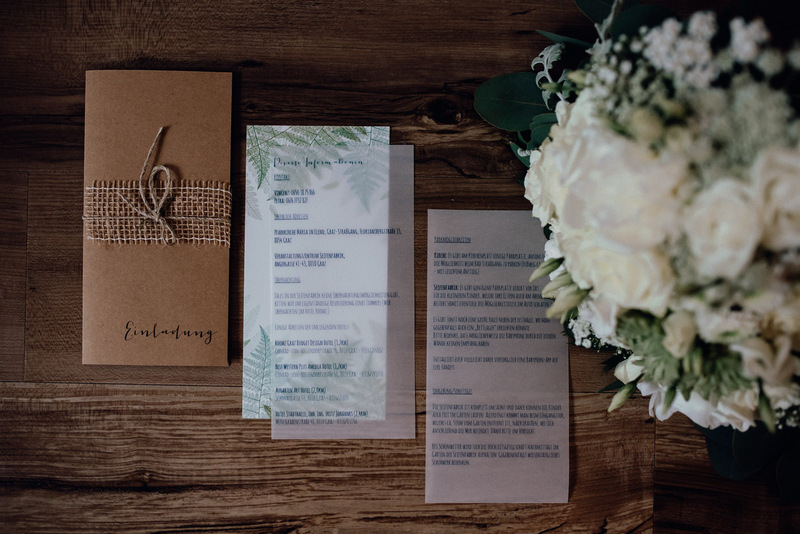 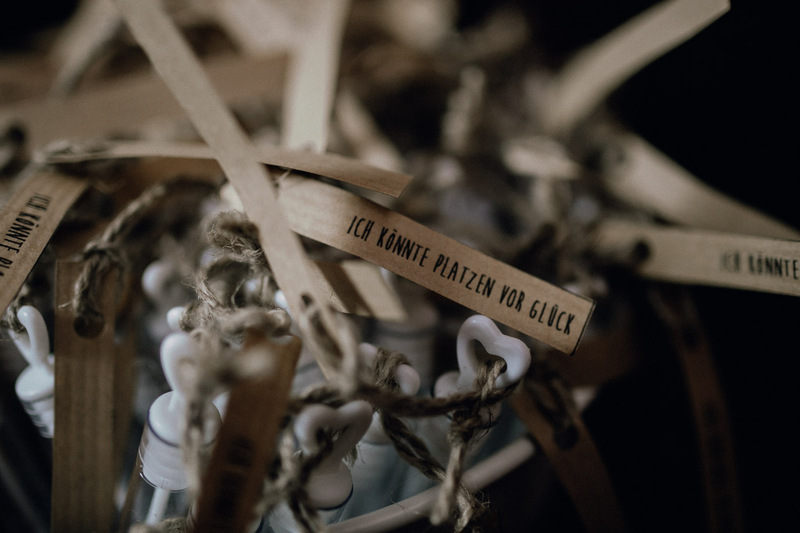 From the invitation, clothing to the wedding gifts for the guests and little table decorations… everything was designed with love and care. 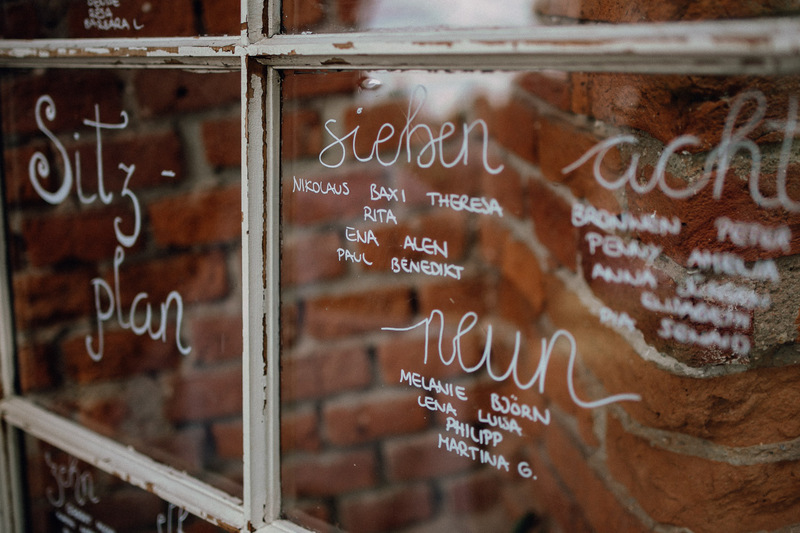 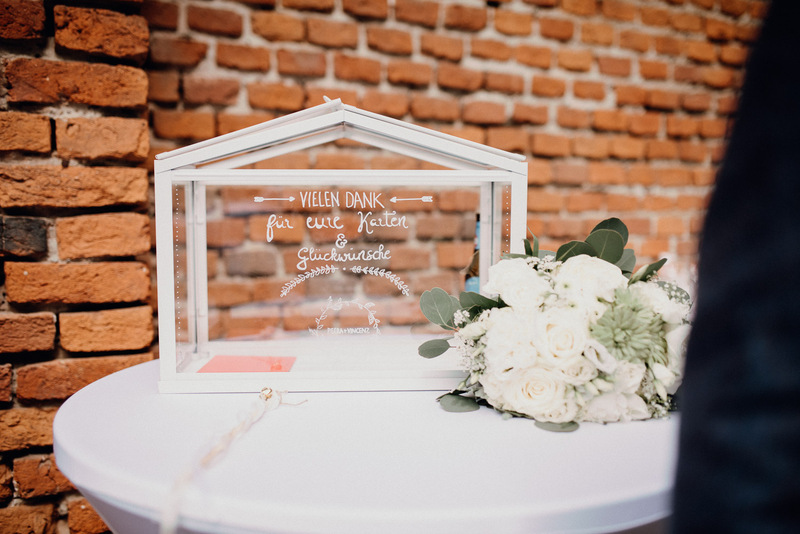 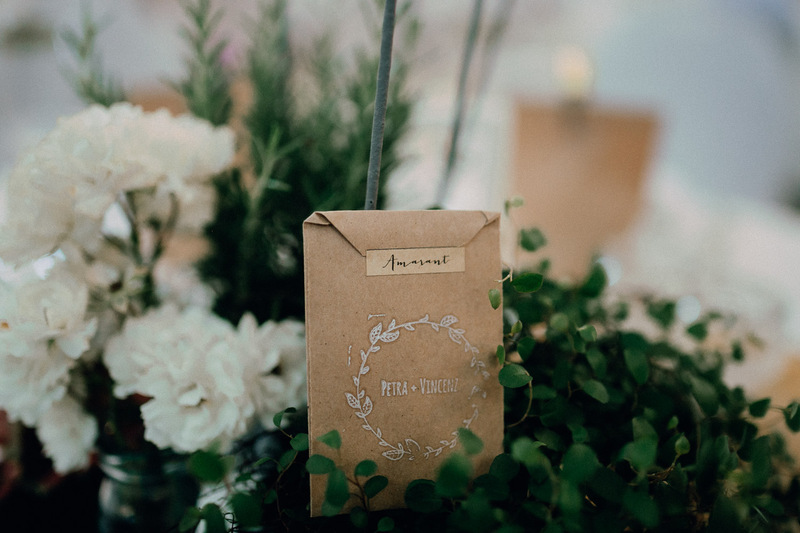 Particularly sweet were the white bird cage with wildflowers and the leaves personalized as name tags for the guests.